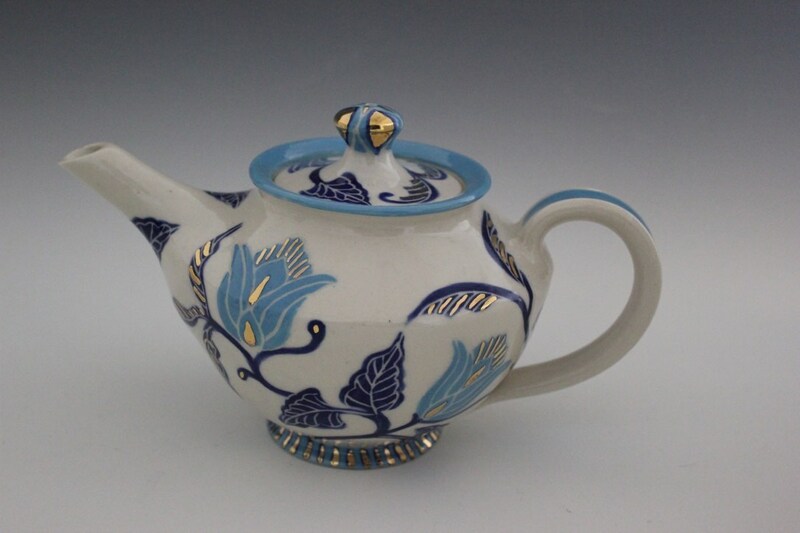 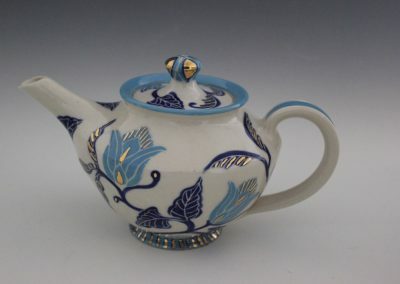 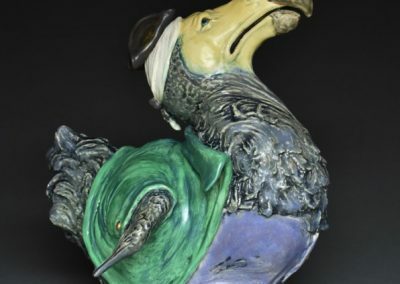 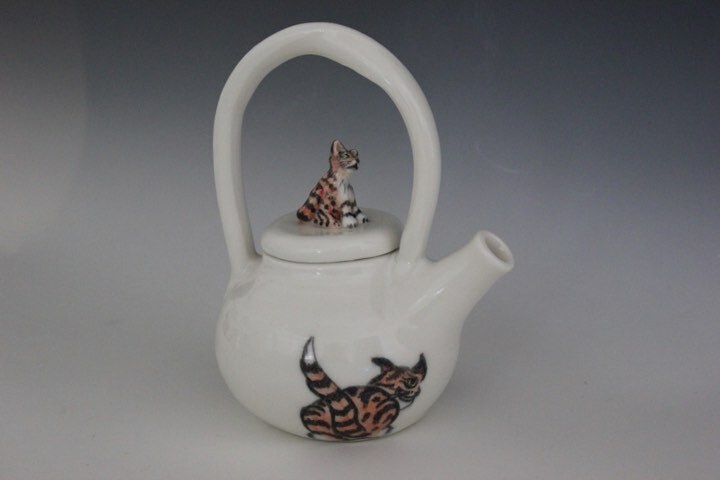 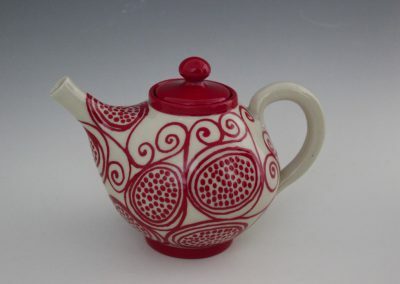 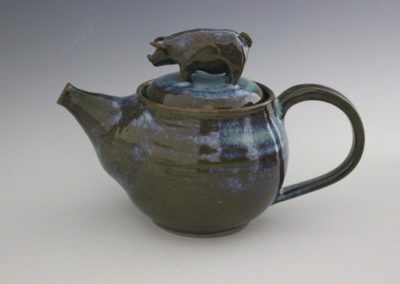 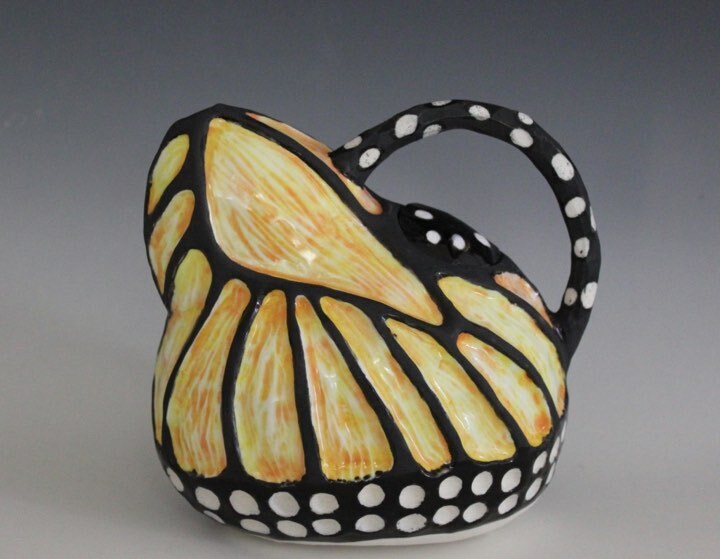 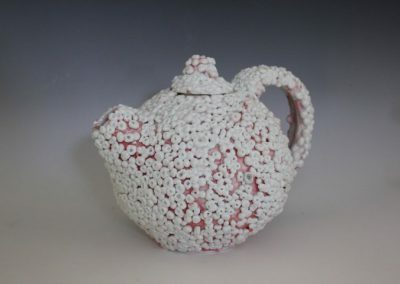 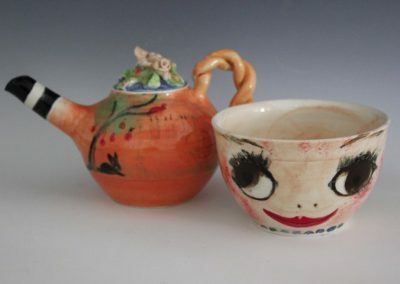 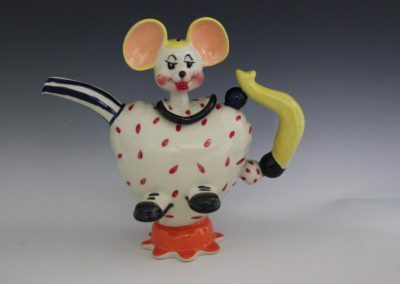 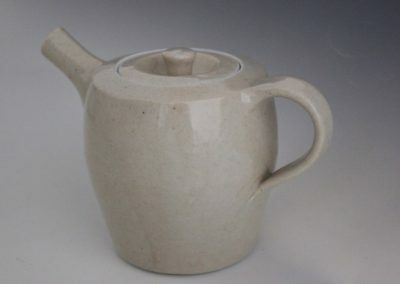 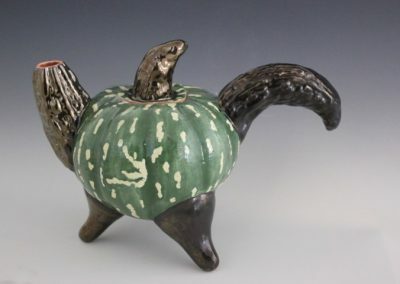 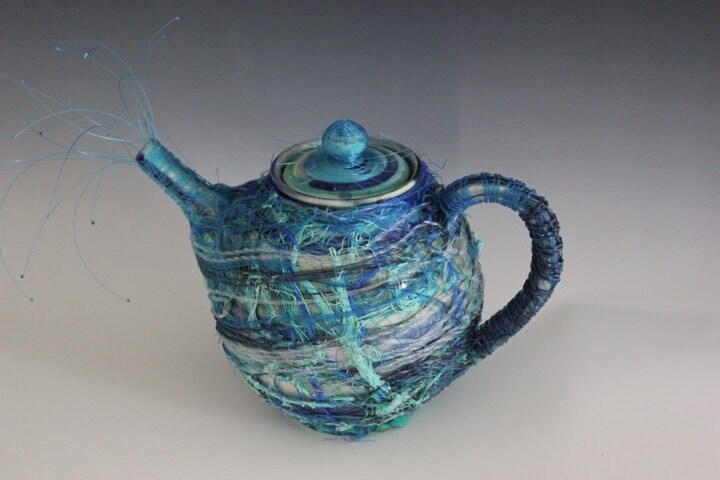 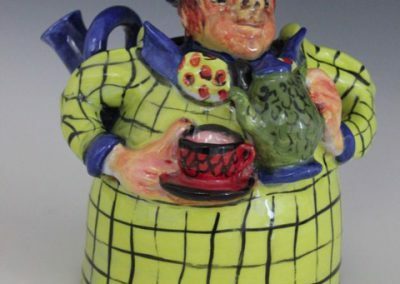 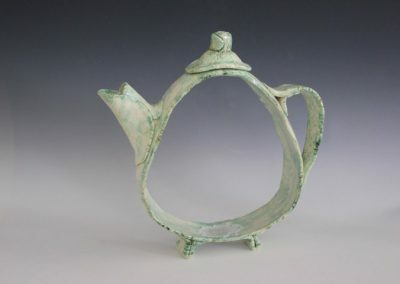 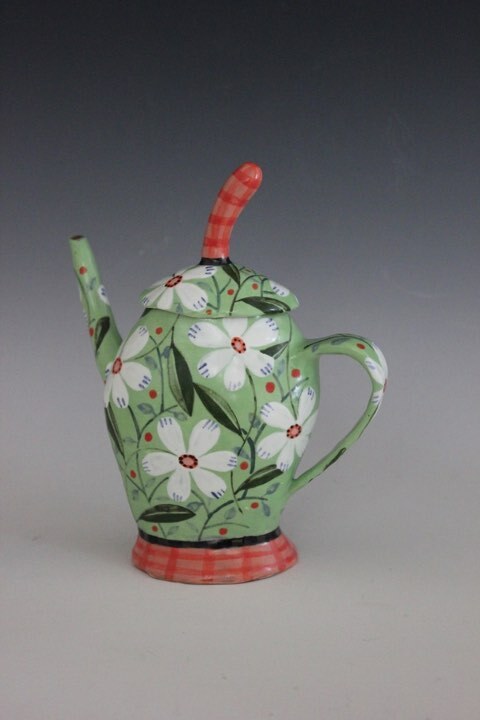 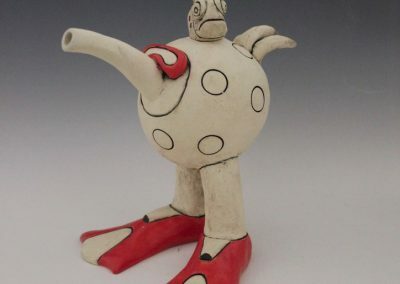 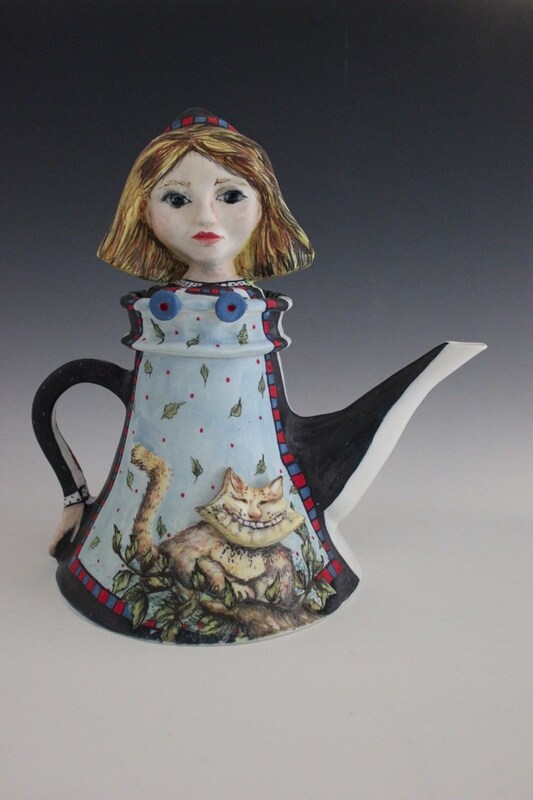 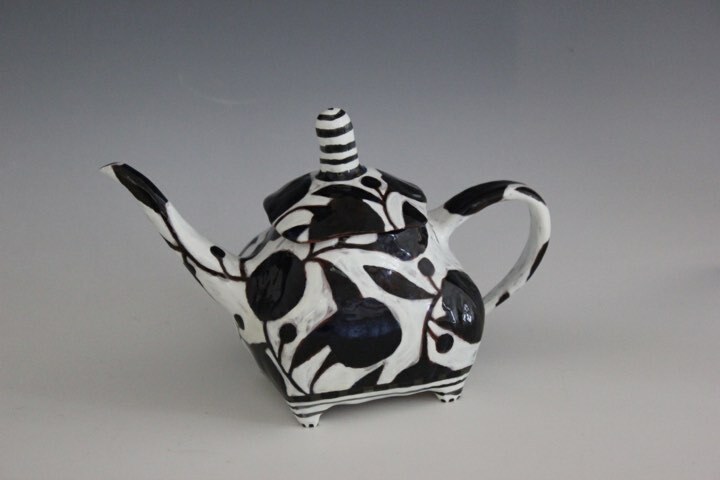 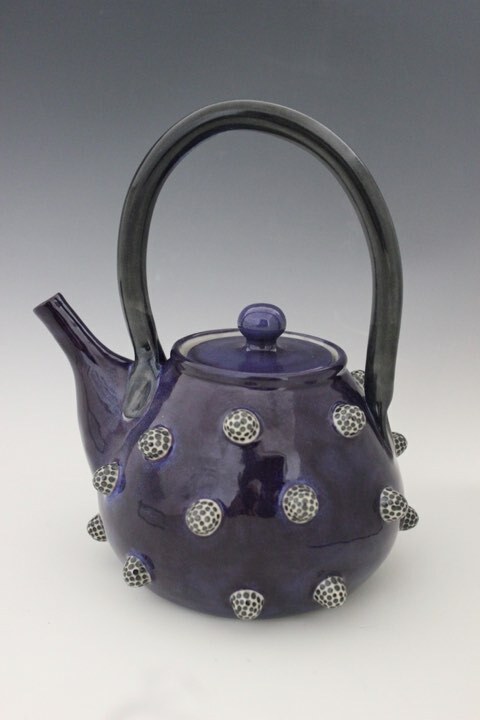 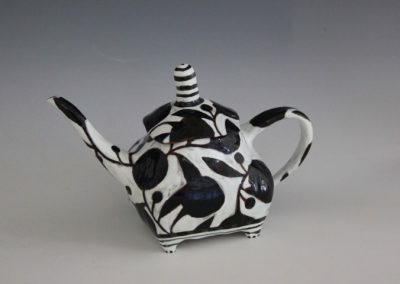 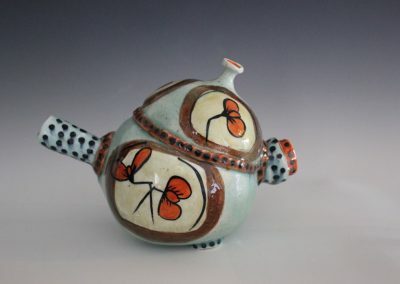 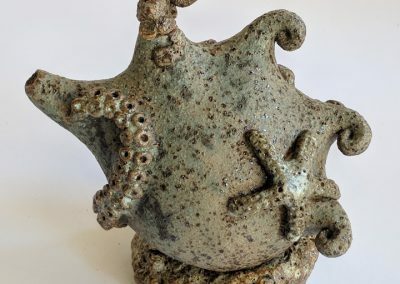 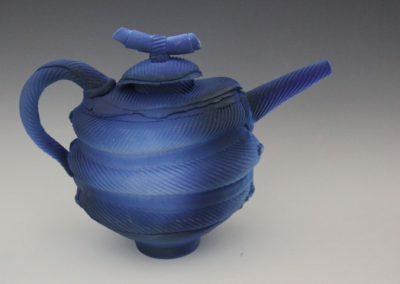 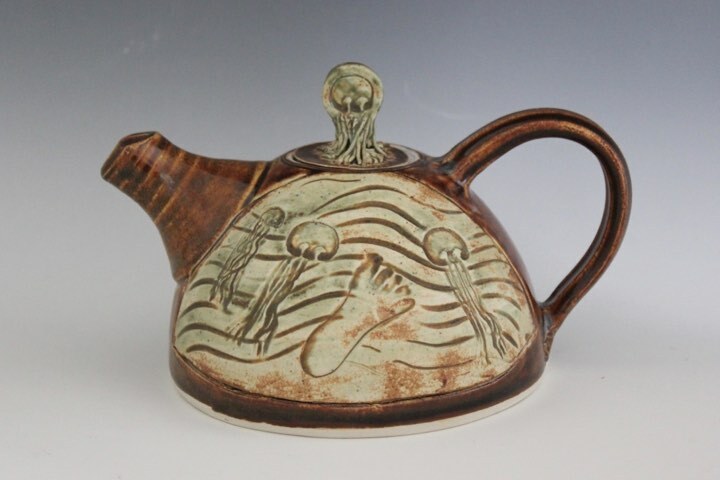 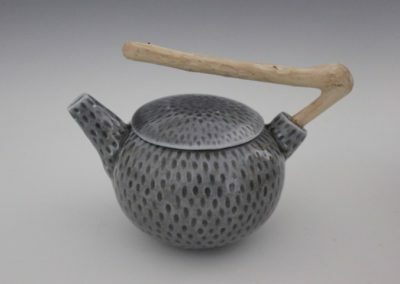 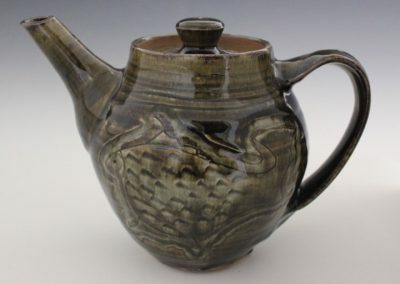 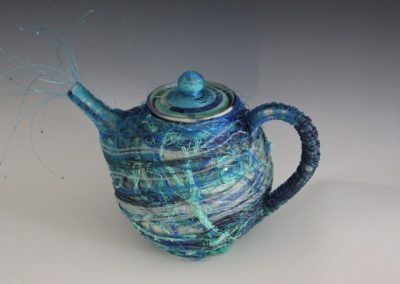 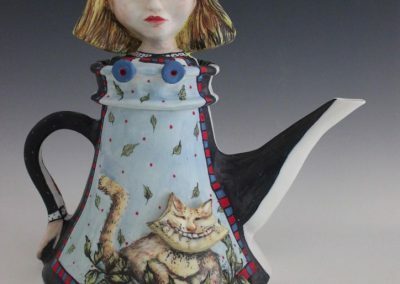 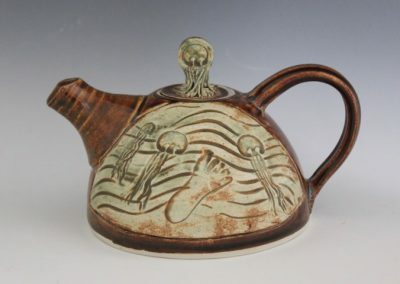 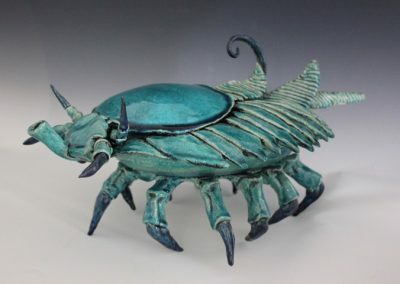 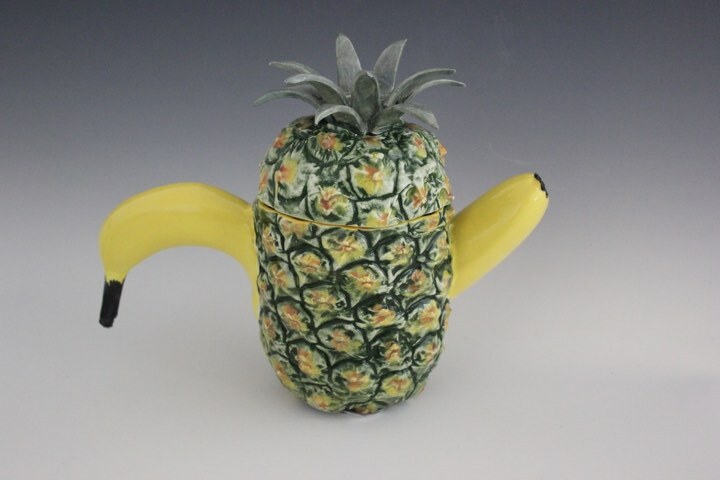 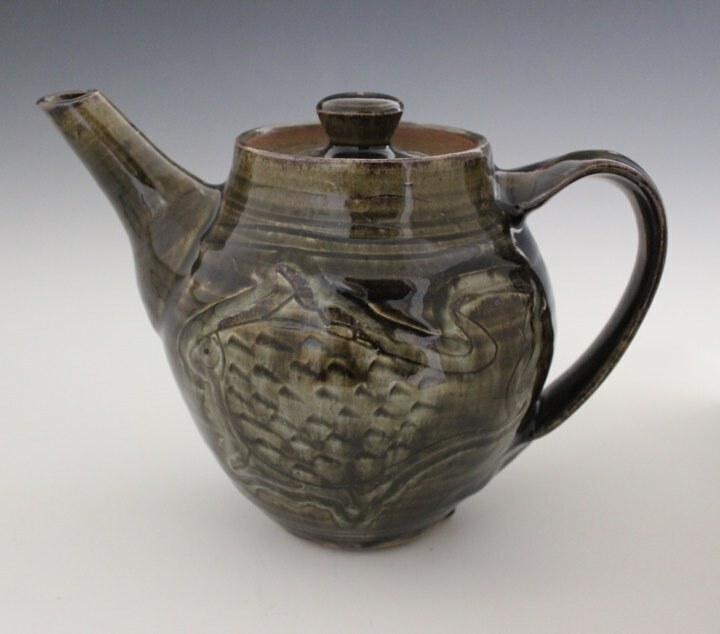 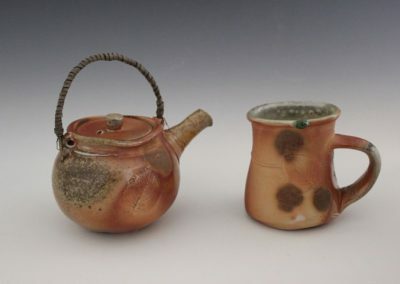 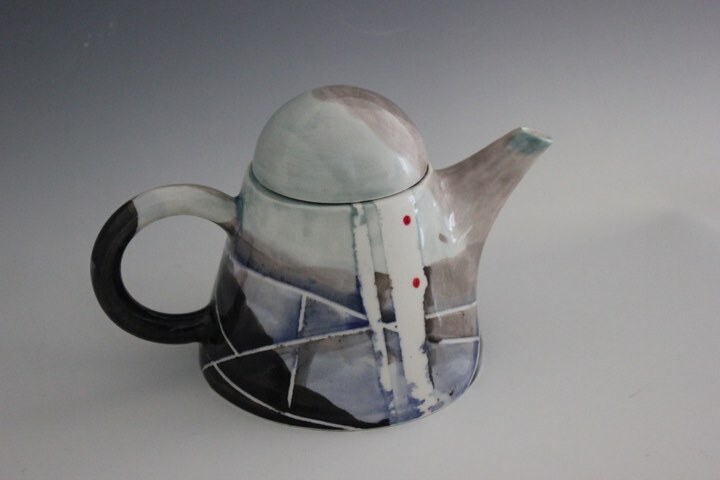 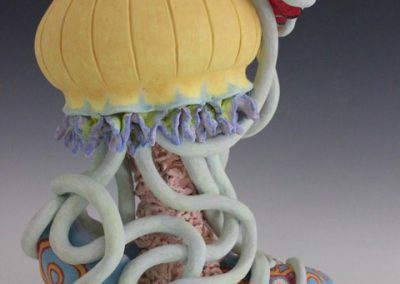 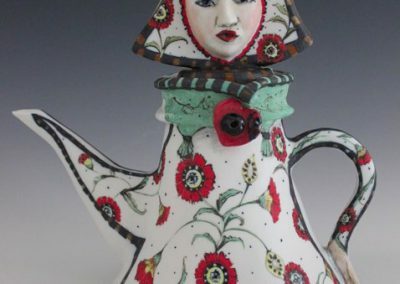 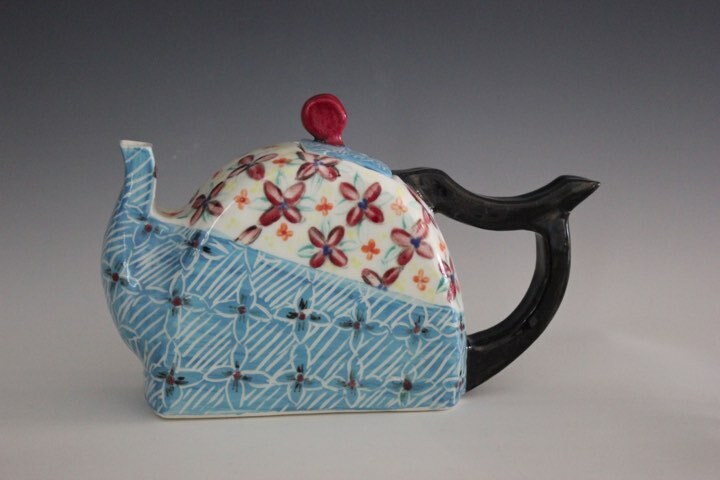 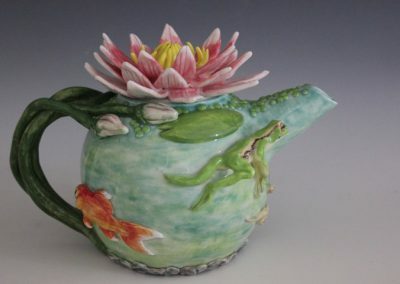 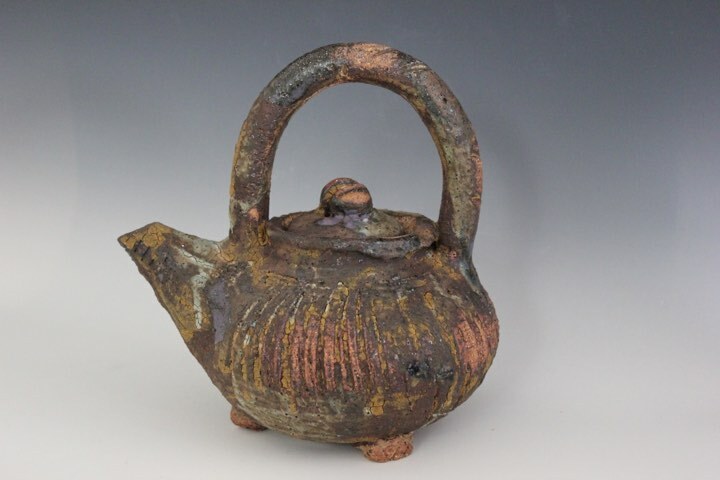 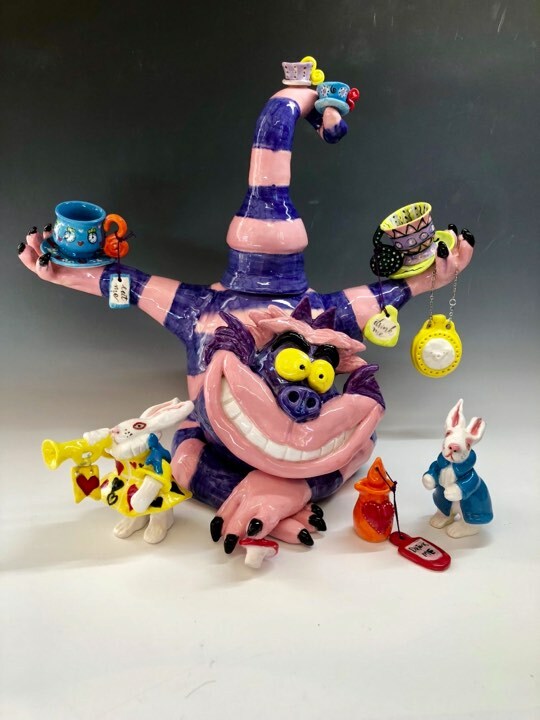 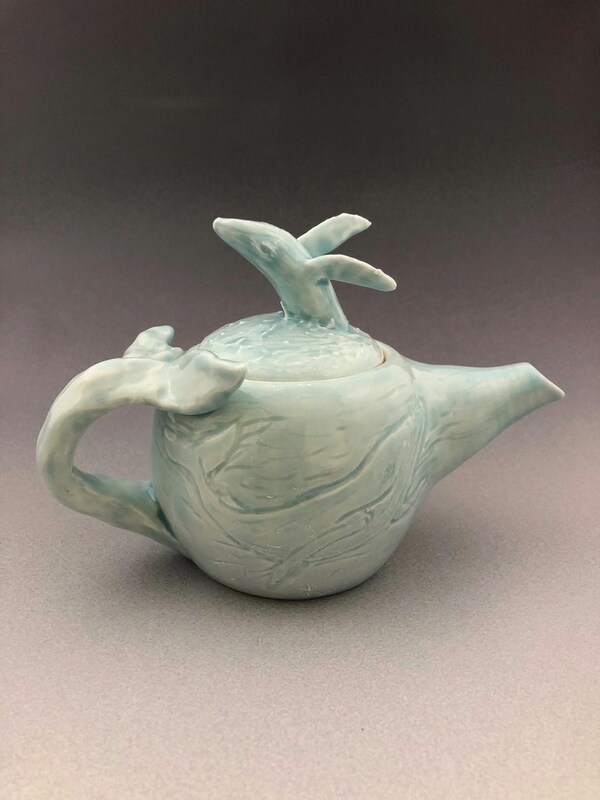 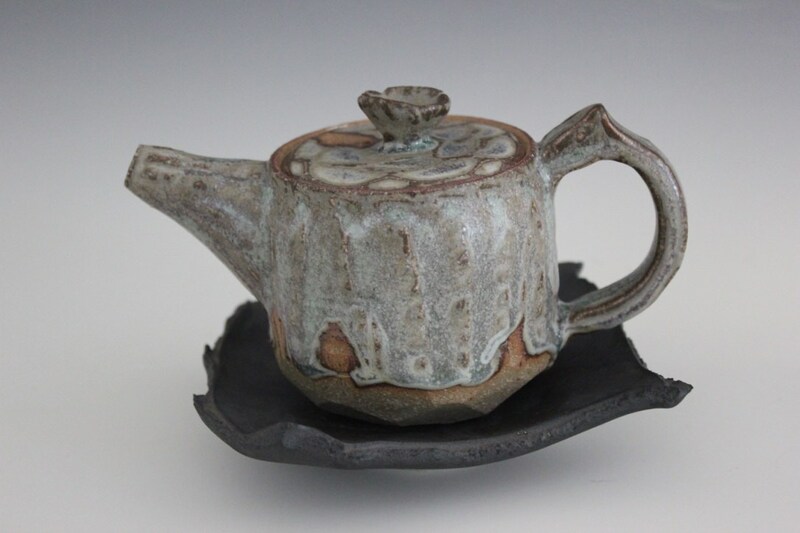 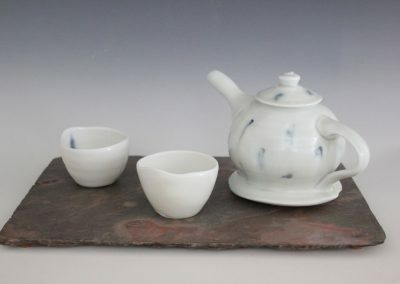 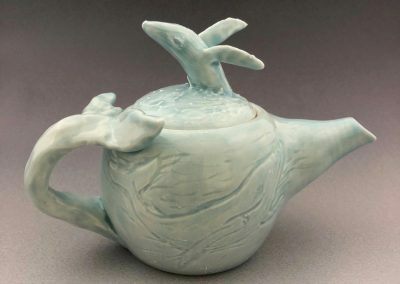 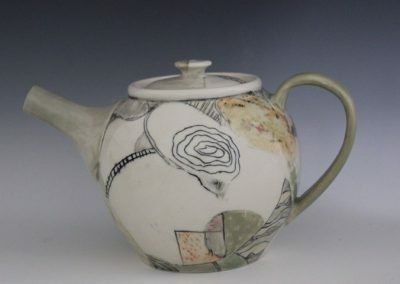 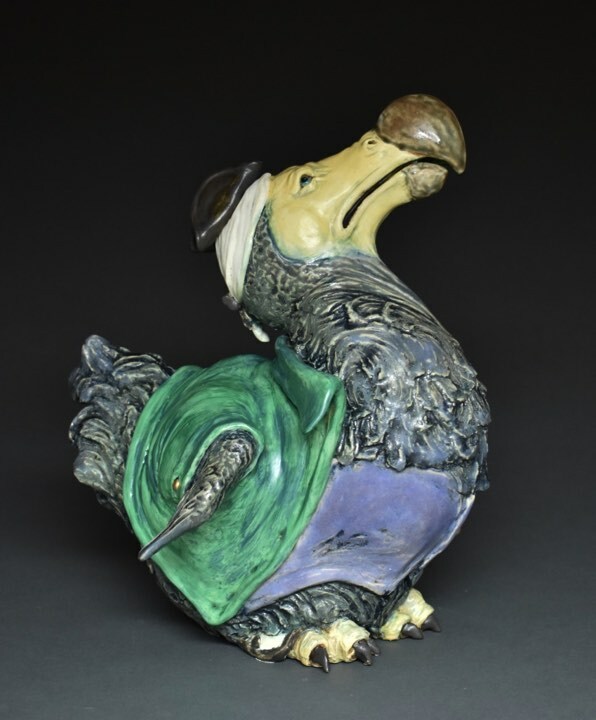 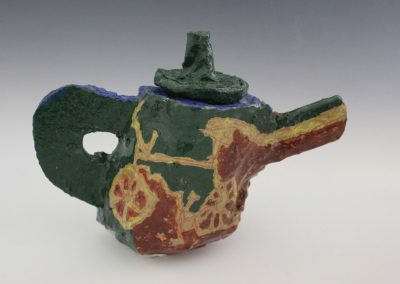 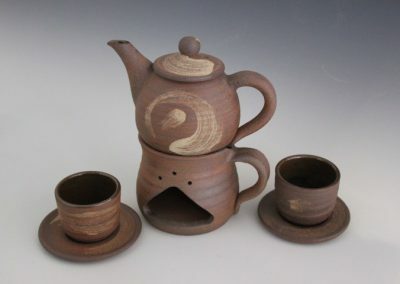 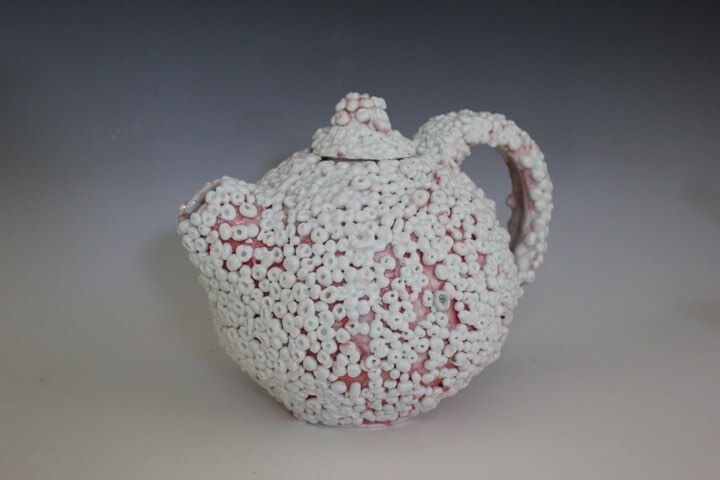 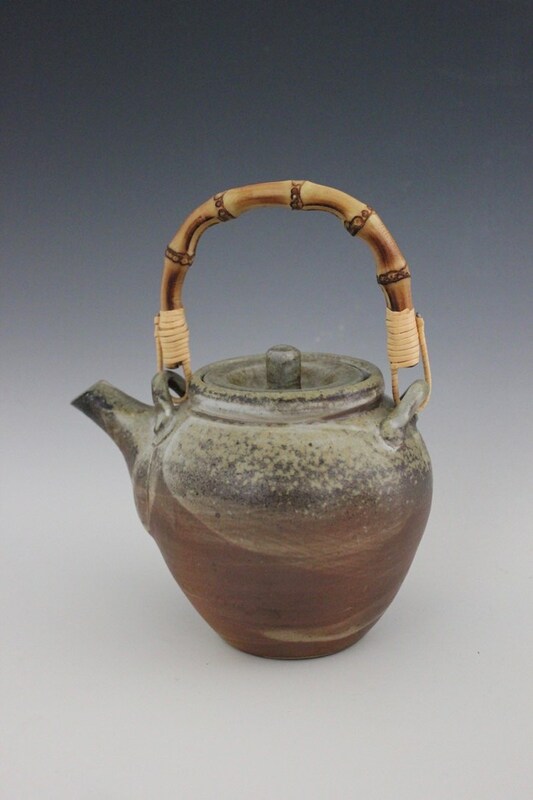 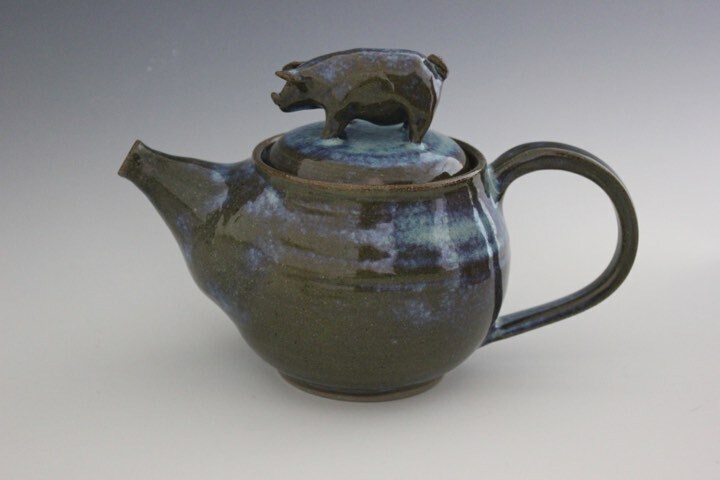 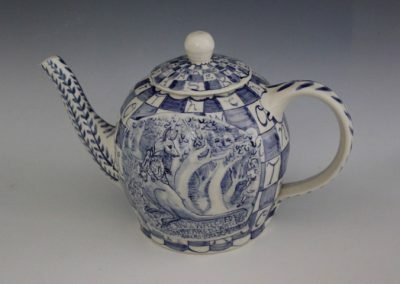 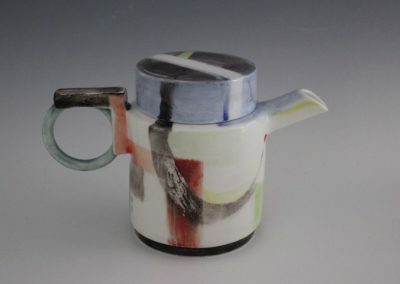 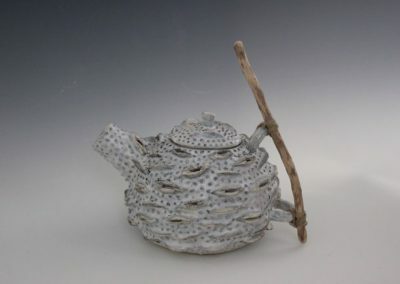 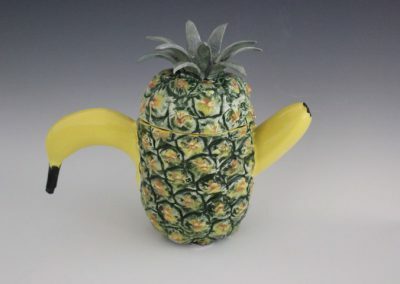 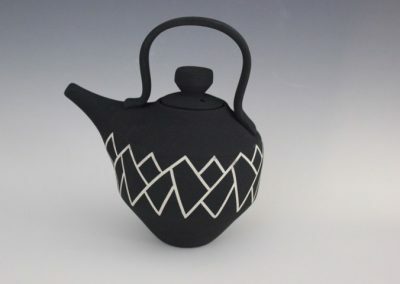 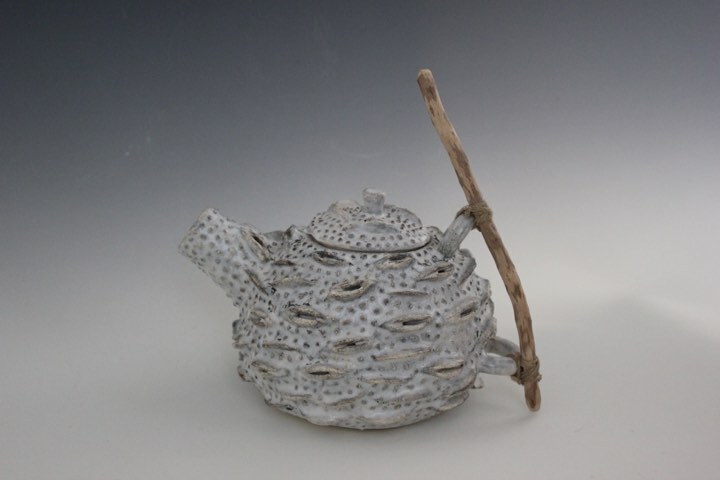 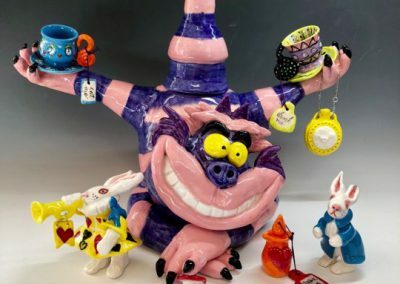 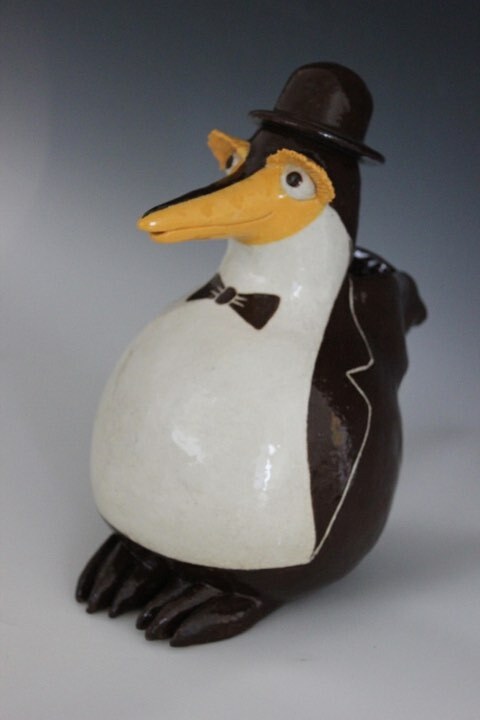 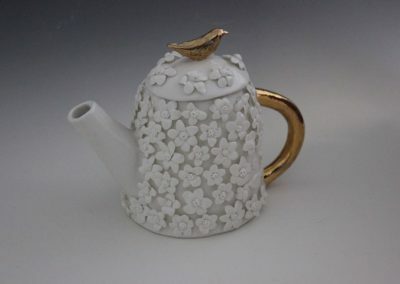 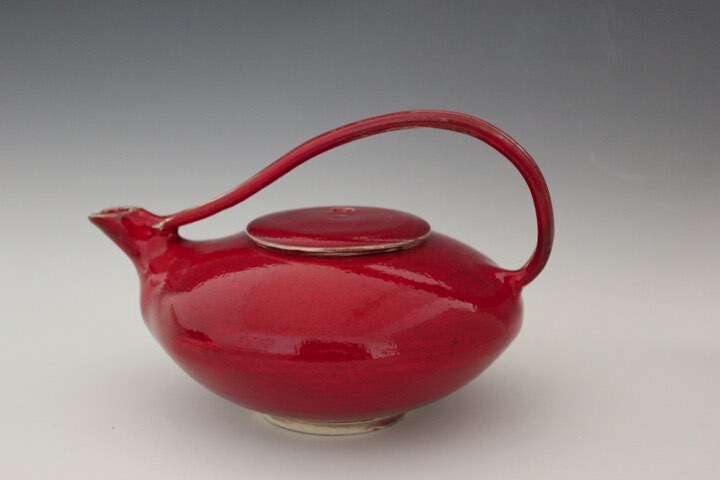 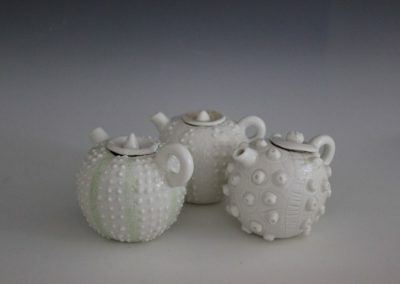 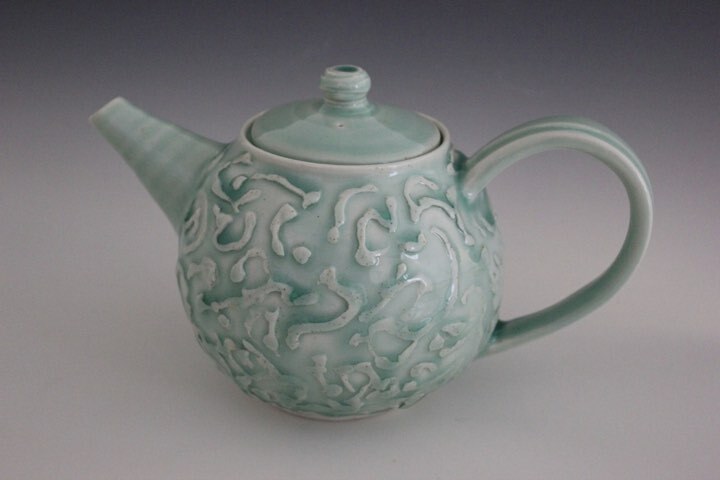 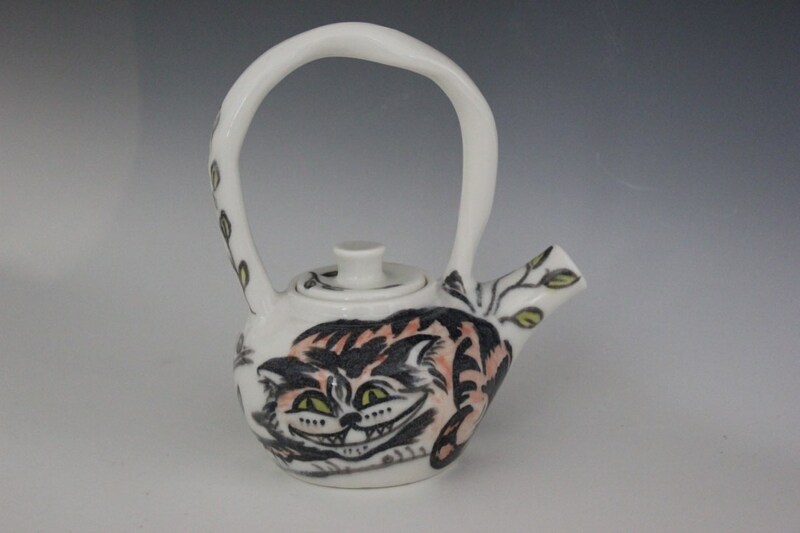 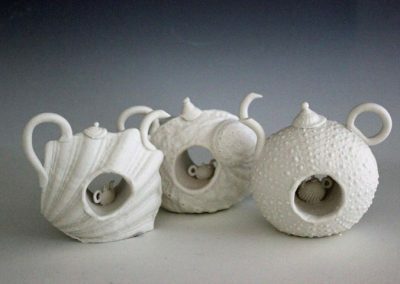 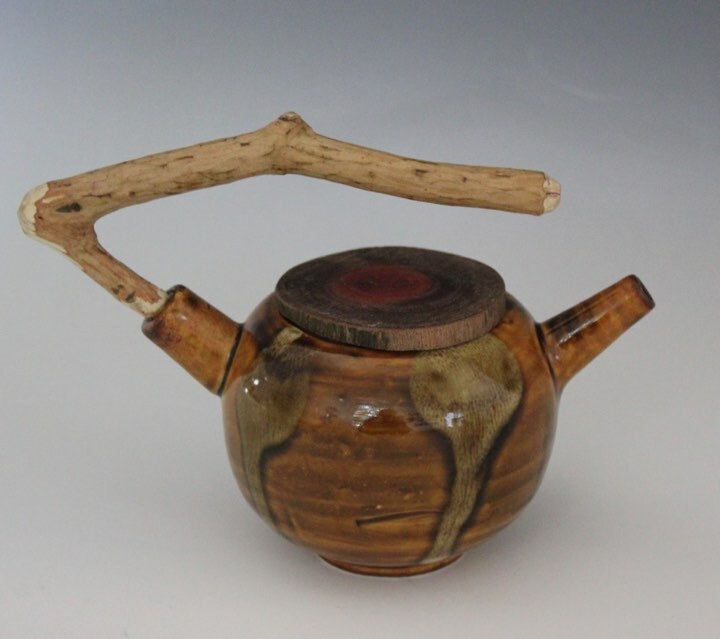 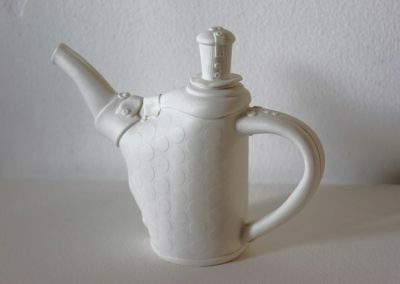 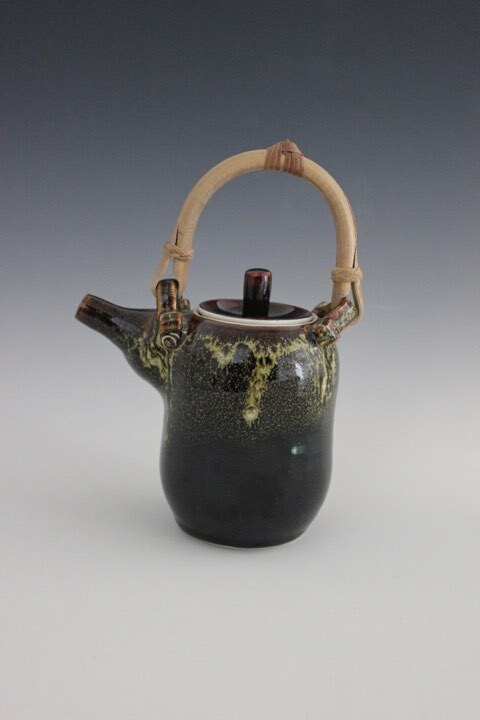 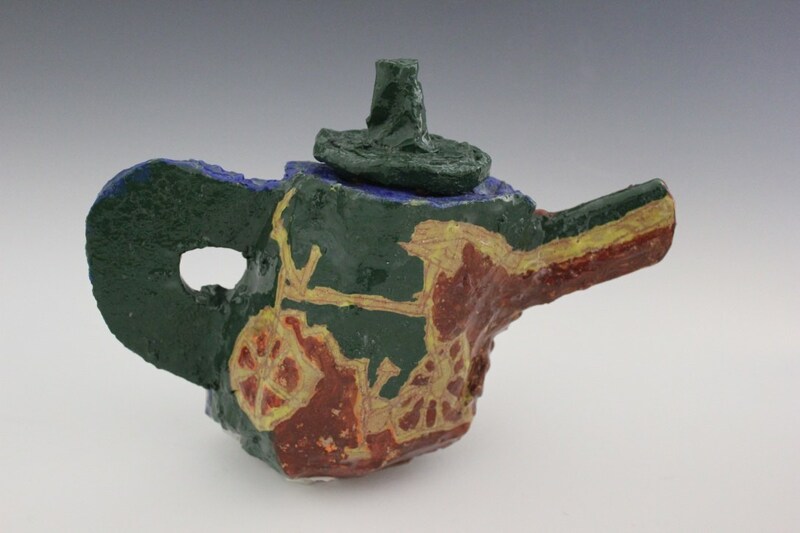 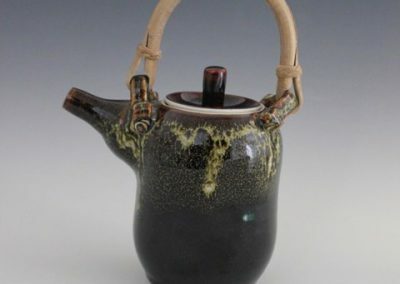 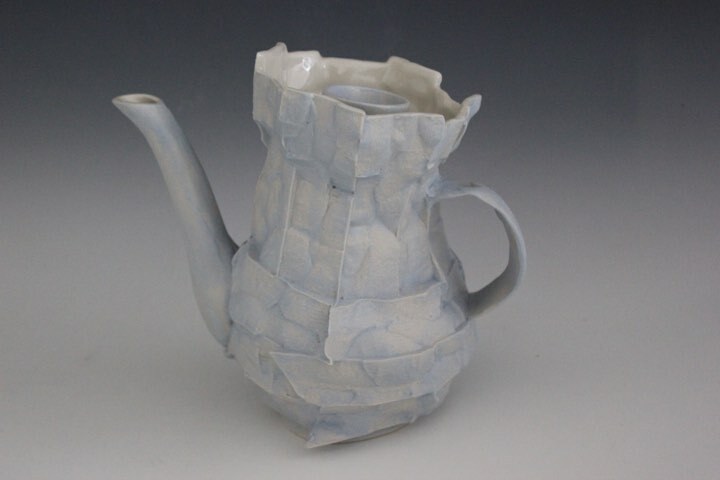 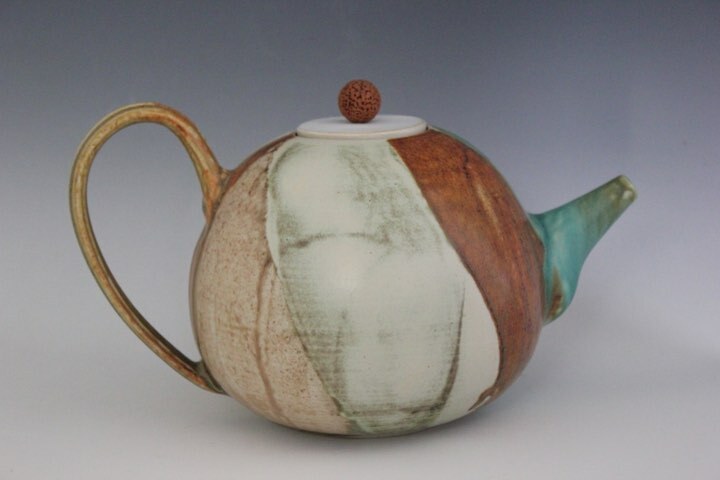 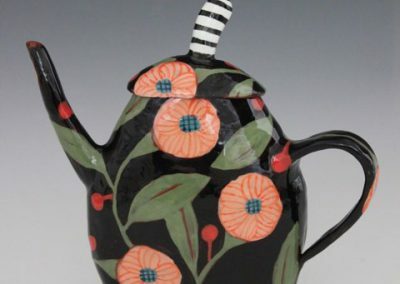 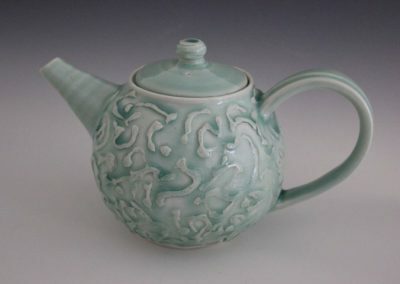 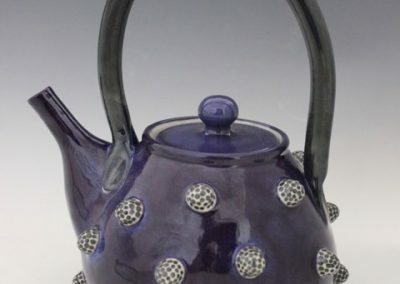 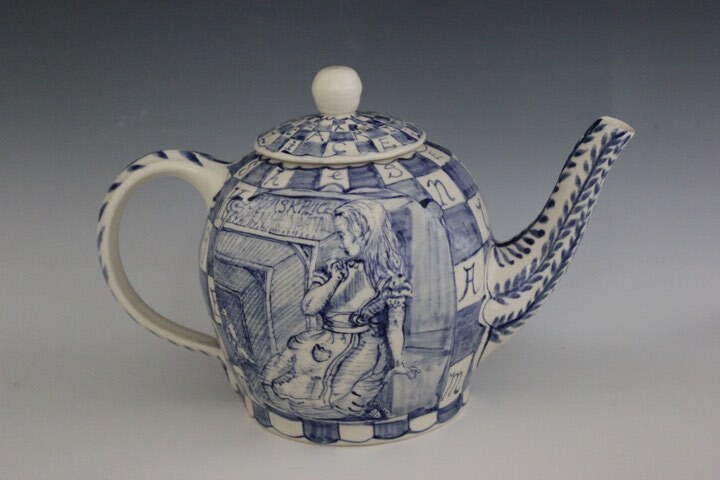 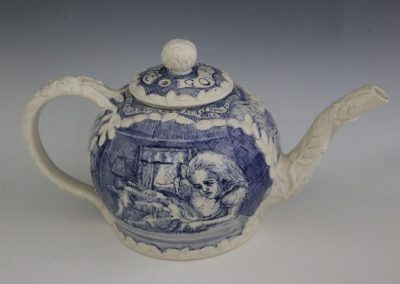 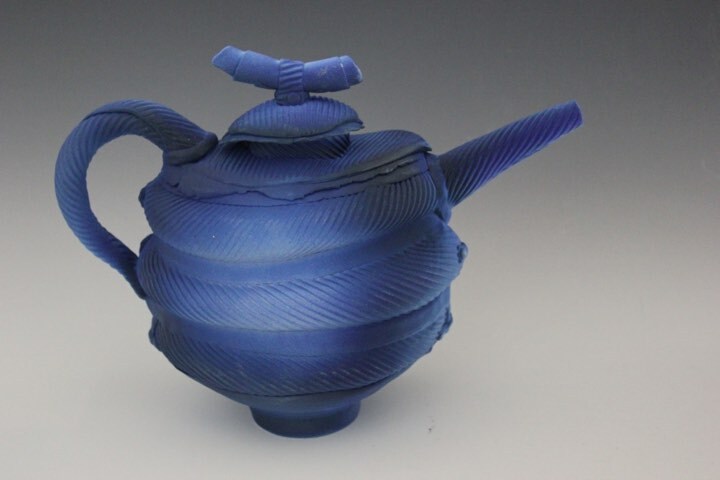 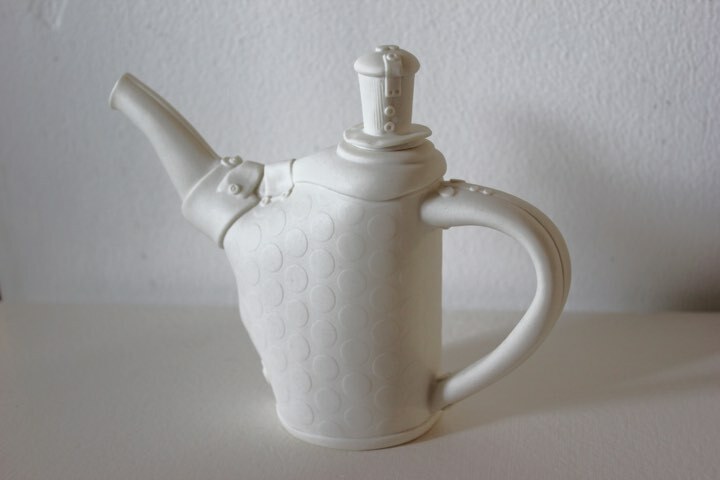 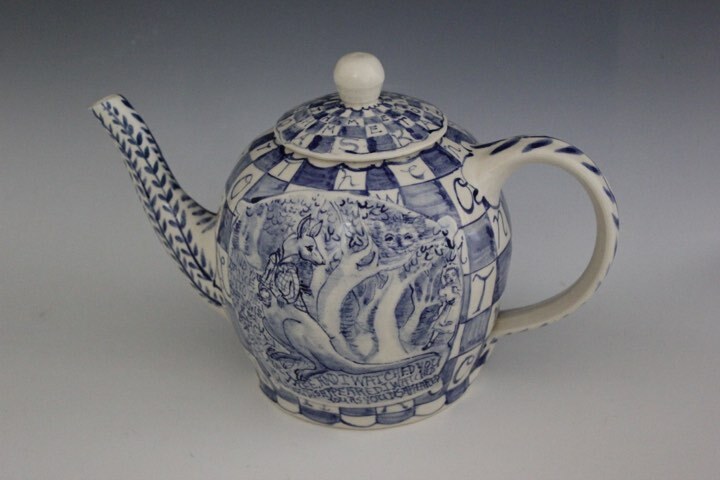 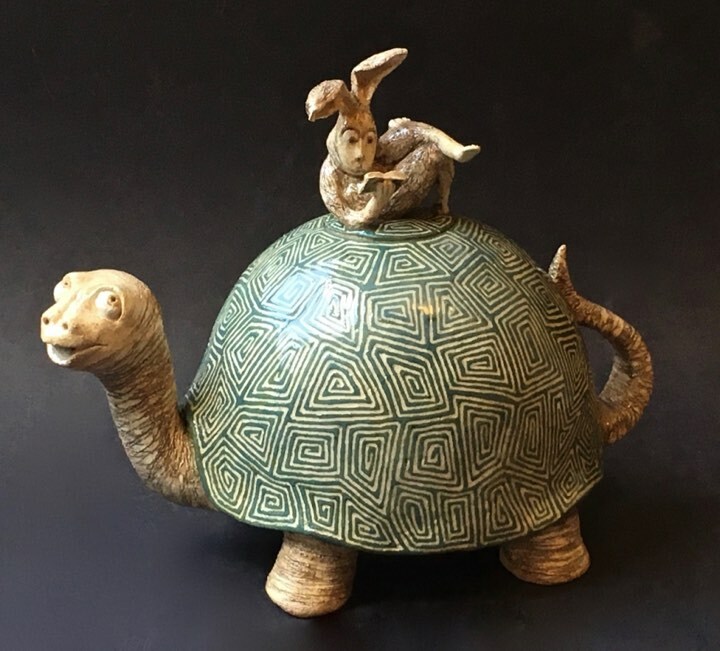 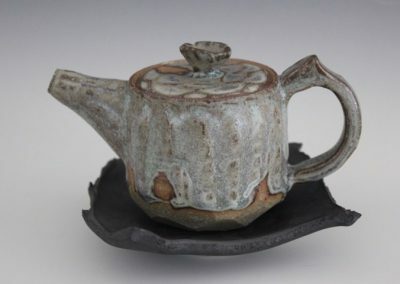 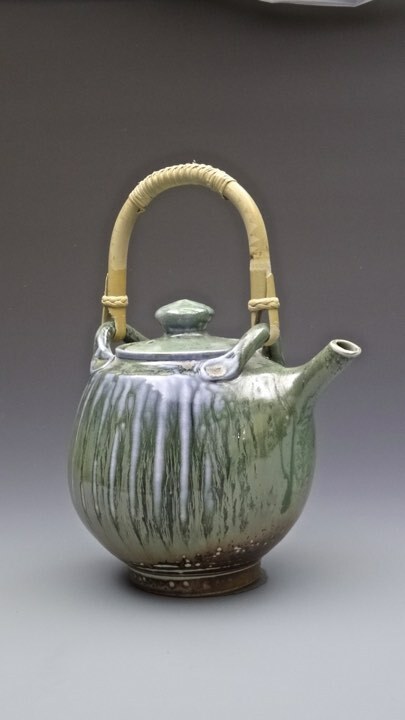 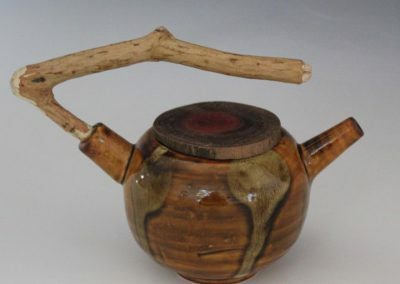 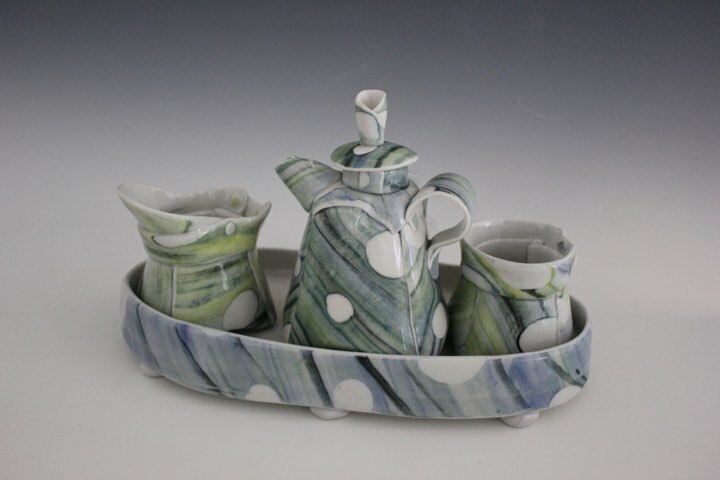 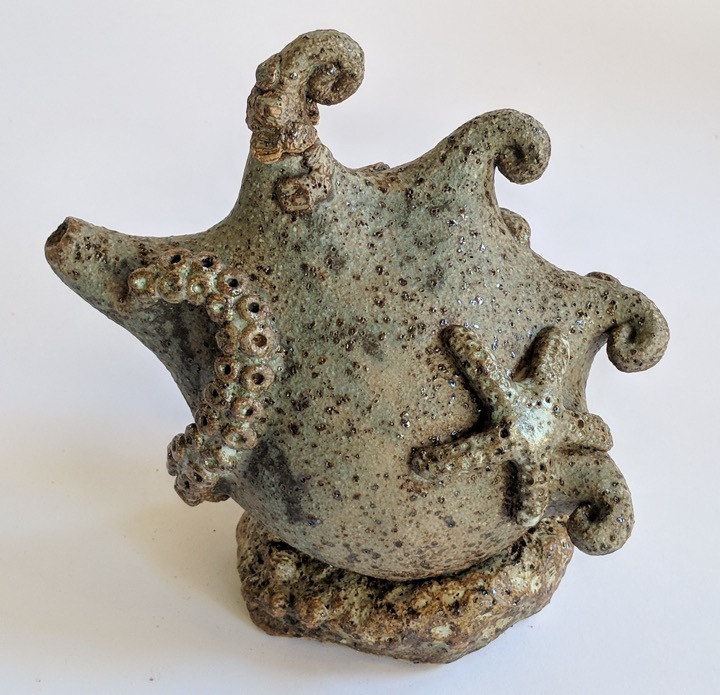 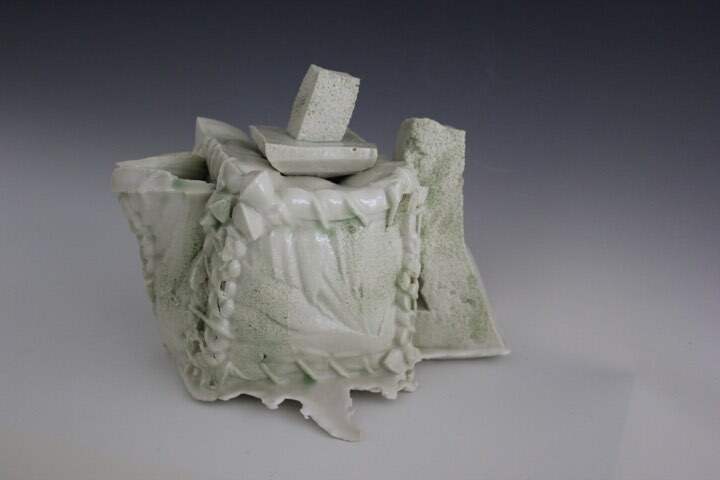 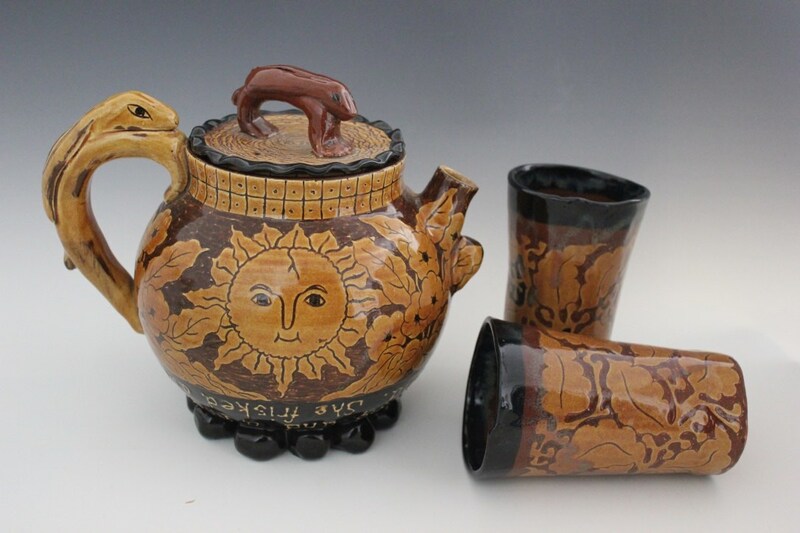 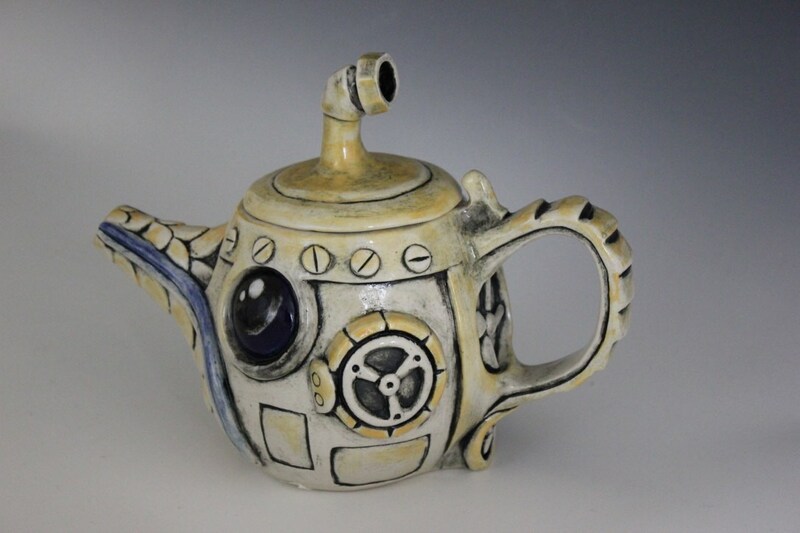 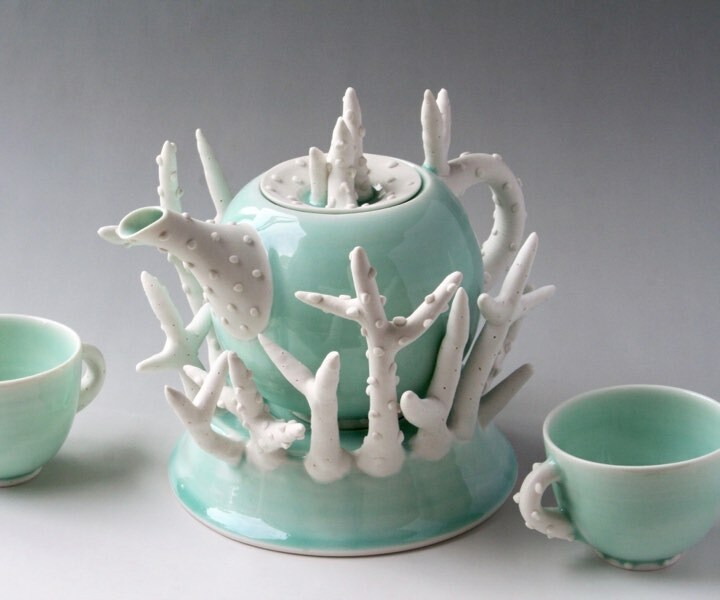 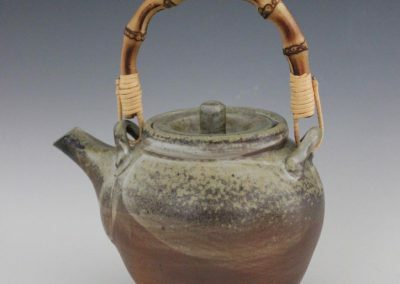 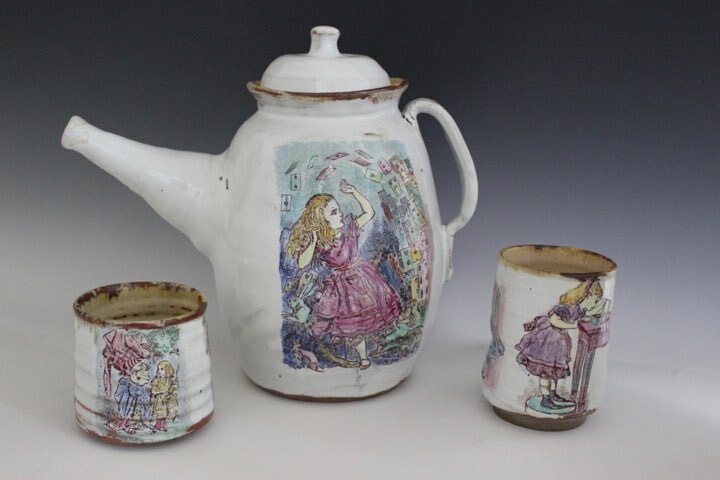 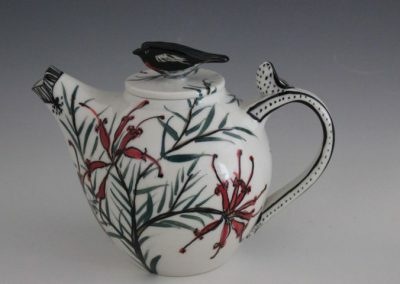 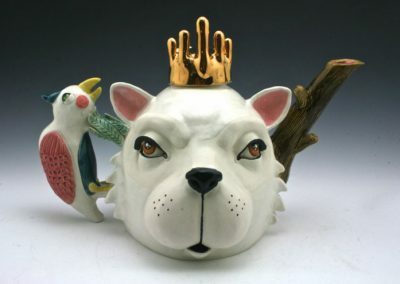 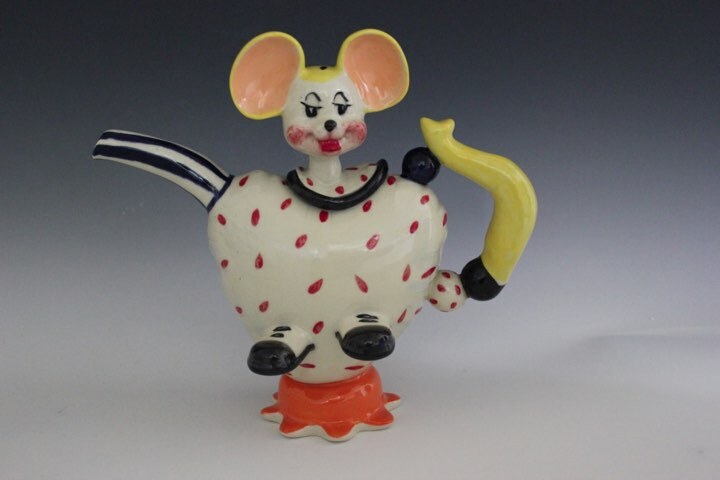 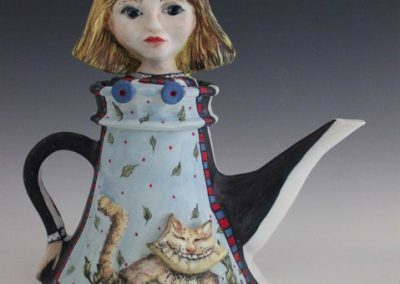 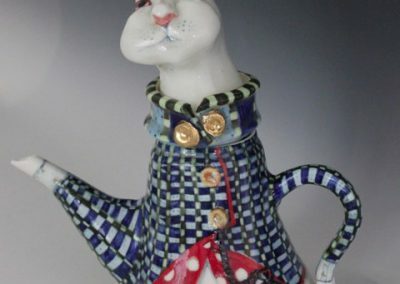 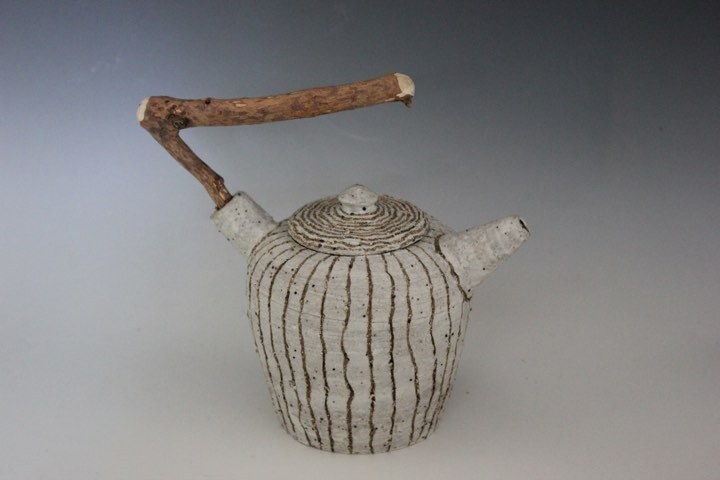 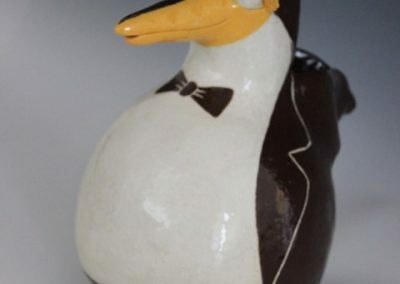 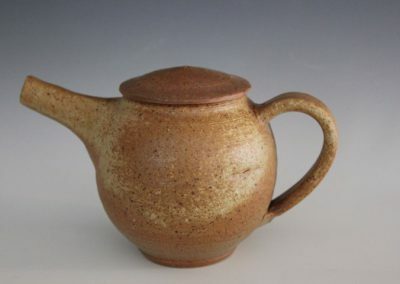 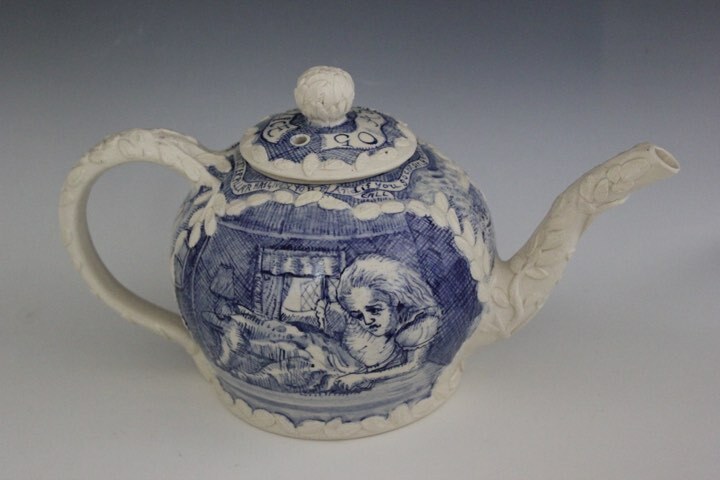 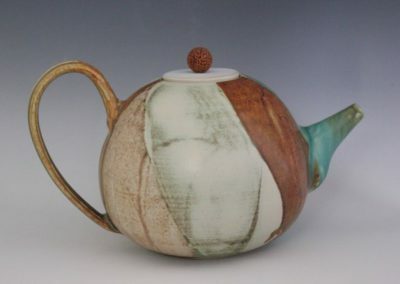 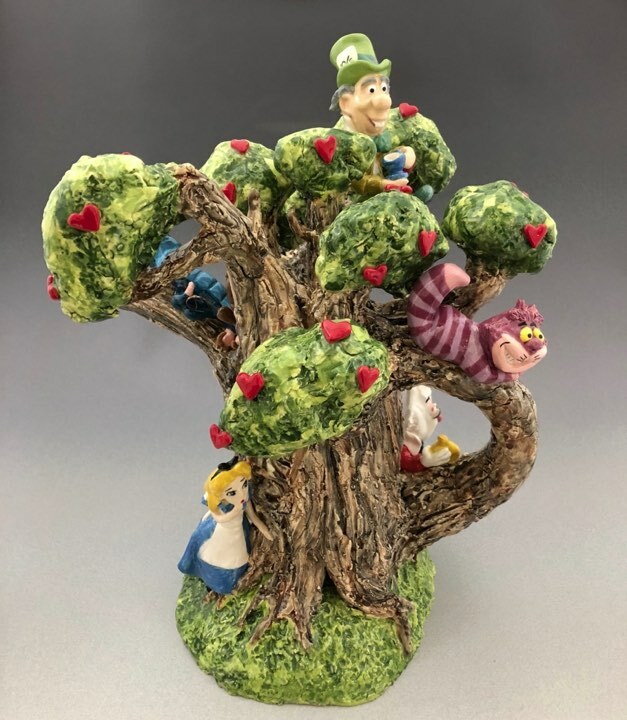 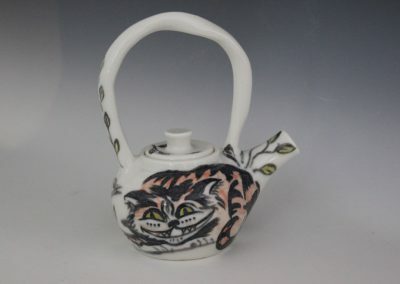 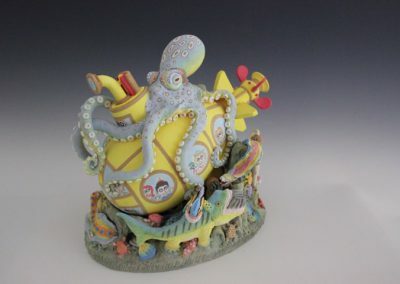 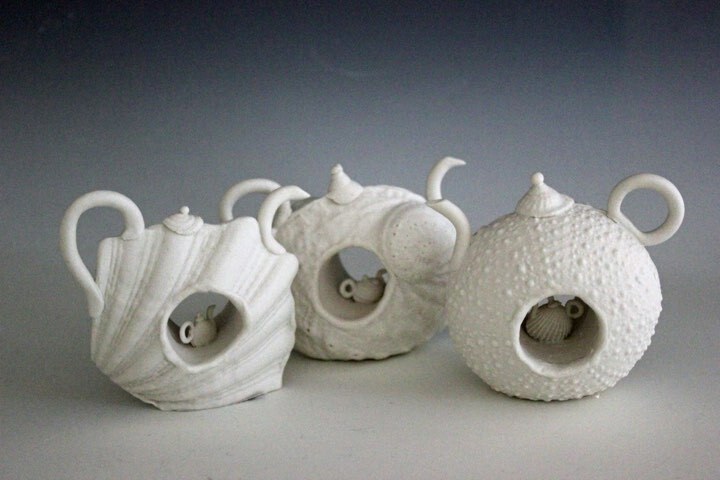 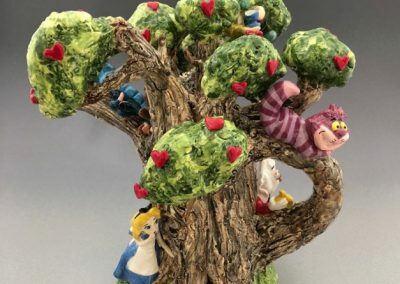 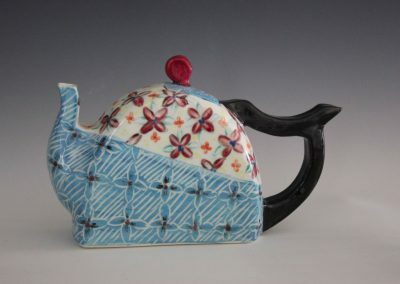 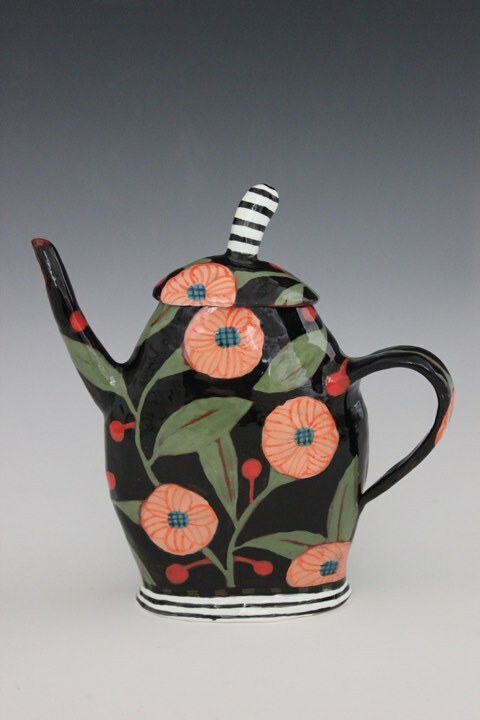 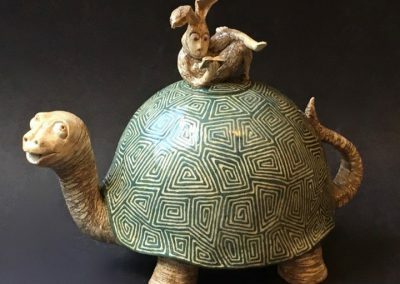 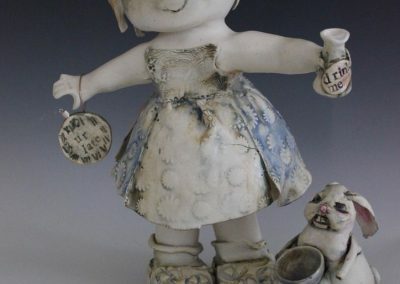 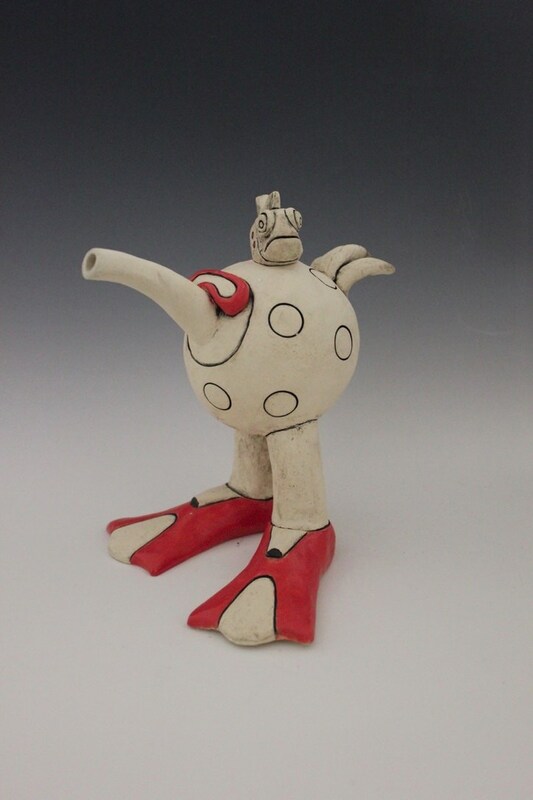 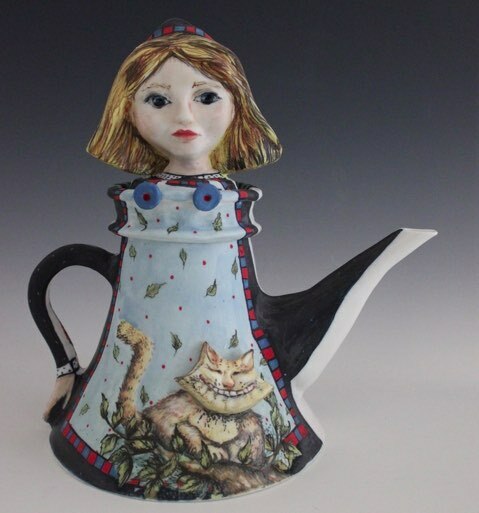 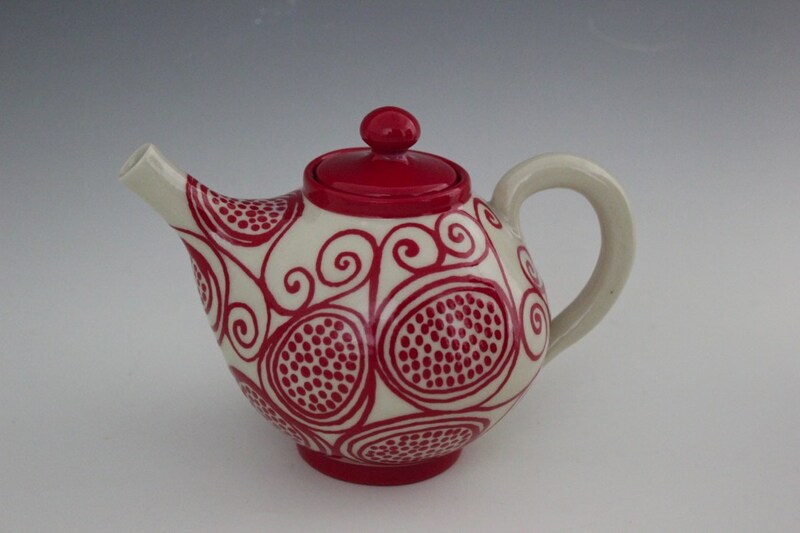 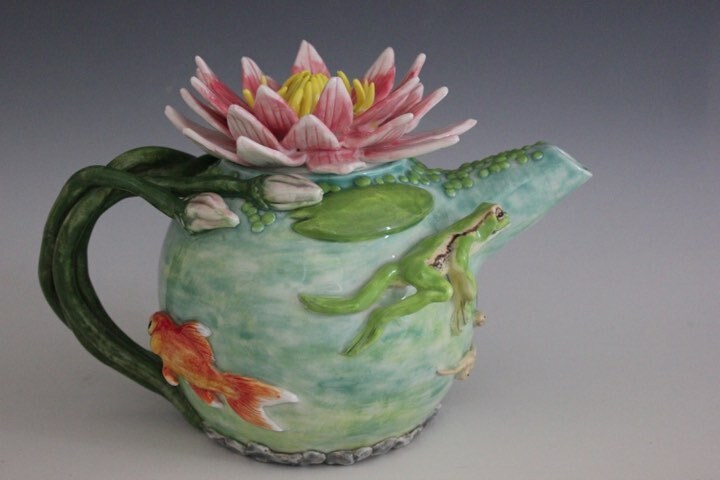 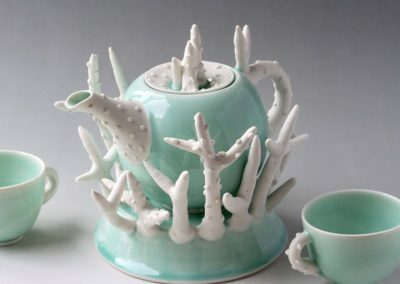 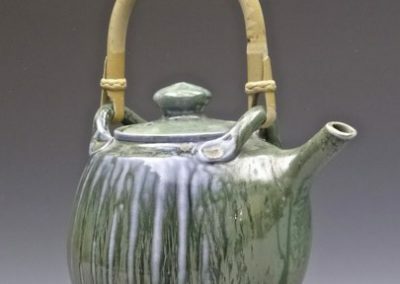 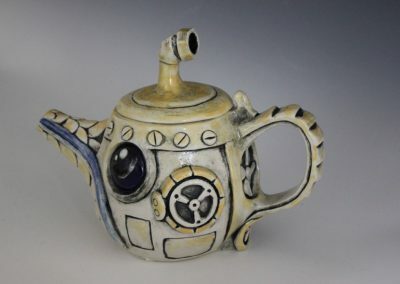 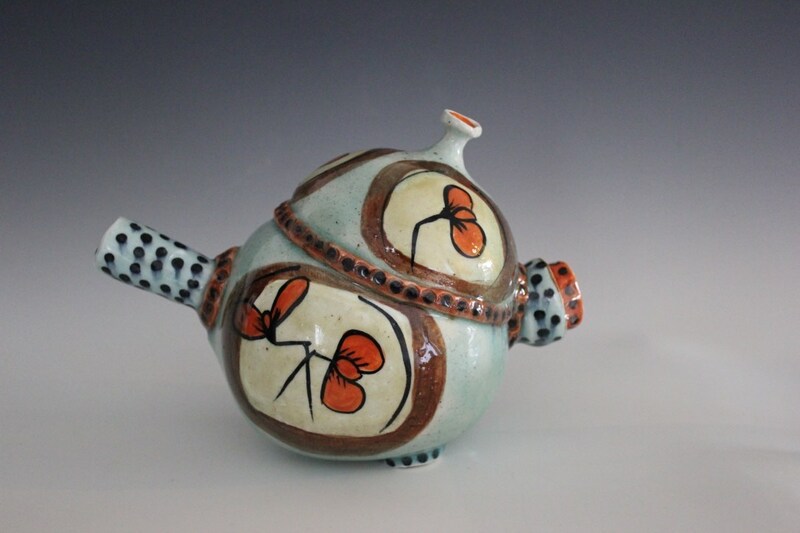 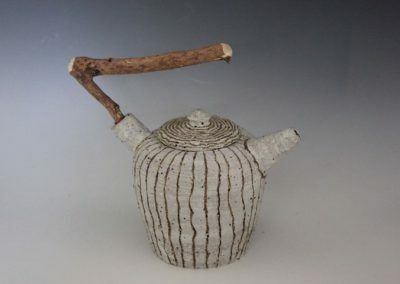 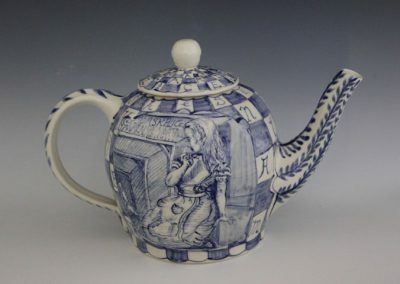 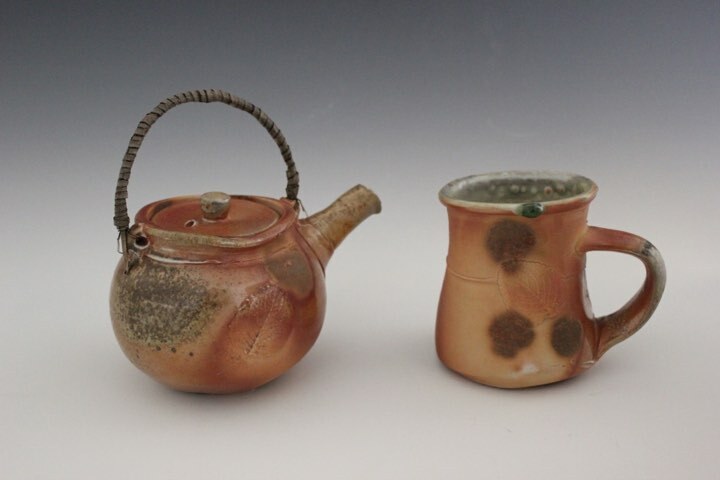 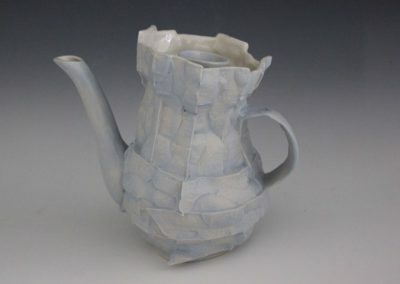 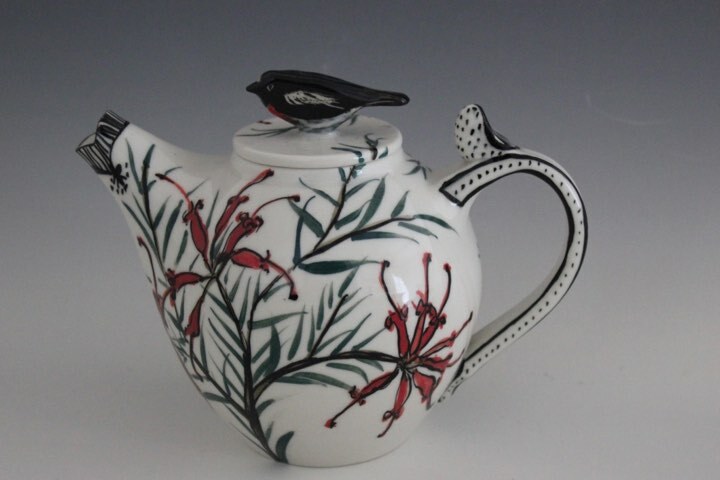 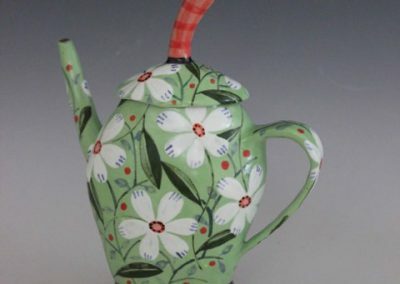 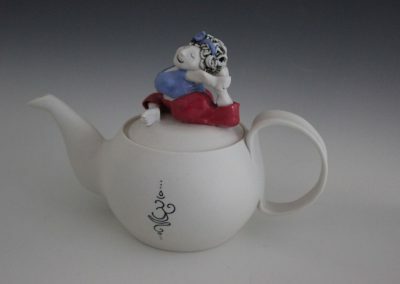 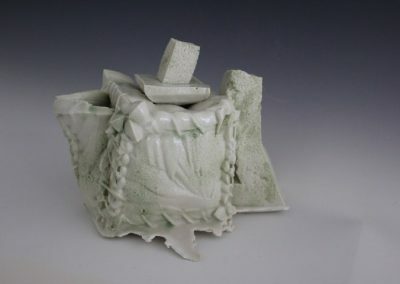 Pour: A Perfectly Practical Teapot – Beautiful to Behold and a Delight to Use sponsored by The Australian Ceramics Association – Go Ask Alice by Gerry Wedd. 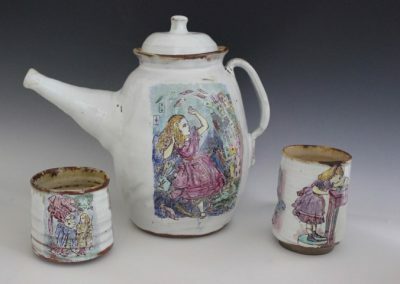 Alice’s Adventures in Wonderland sponsored by Gleebooks. 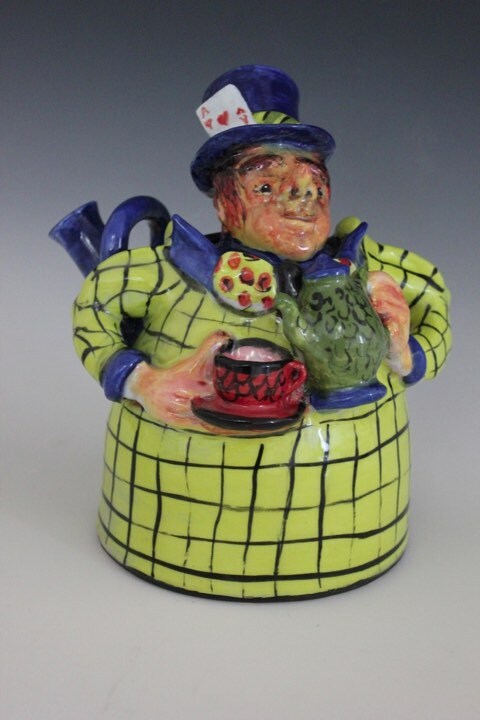 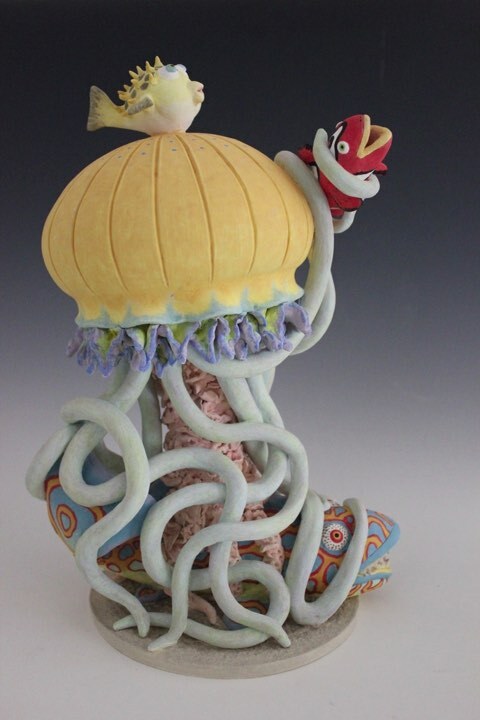 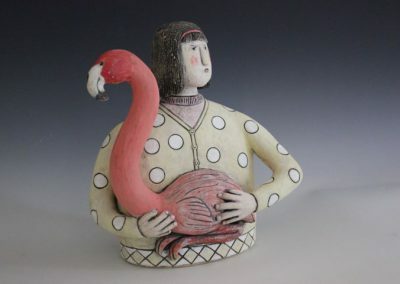 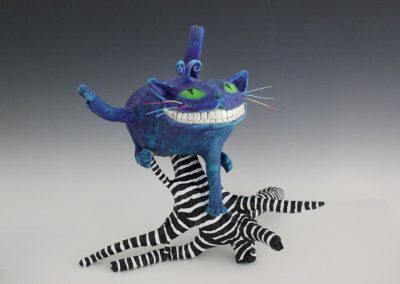 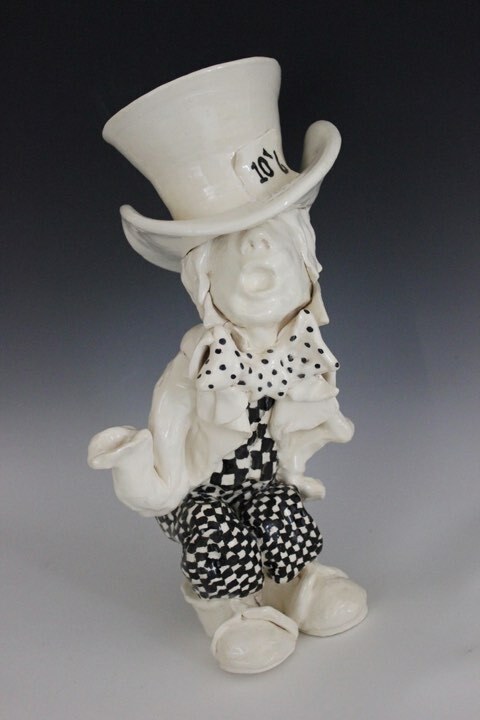 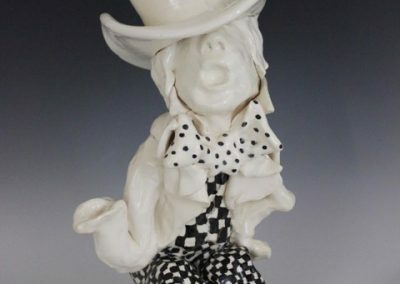 Twixt Tweedledum and Tweedledee by Dawn Oakford. 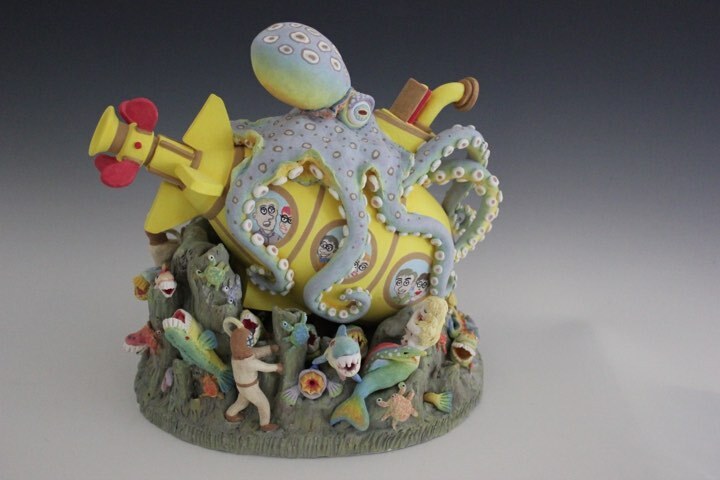 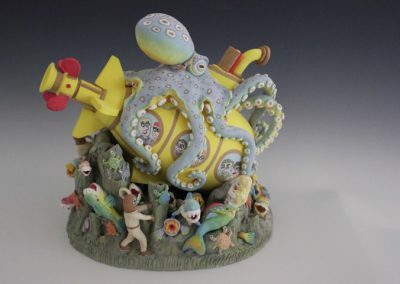 The Life Aquatic sponsored by Keane Ceramics – Yellow Submarine by Keith Yeo. 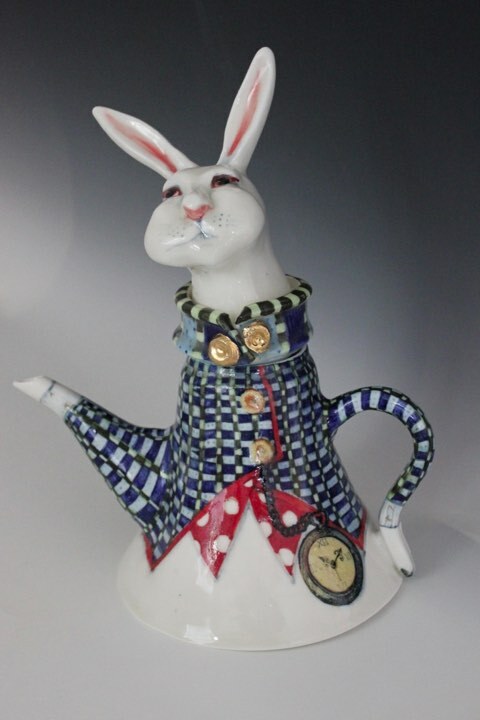 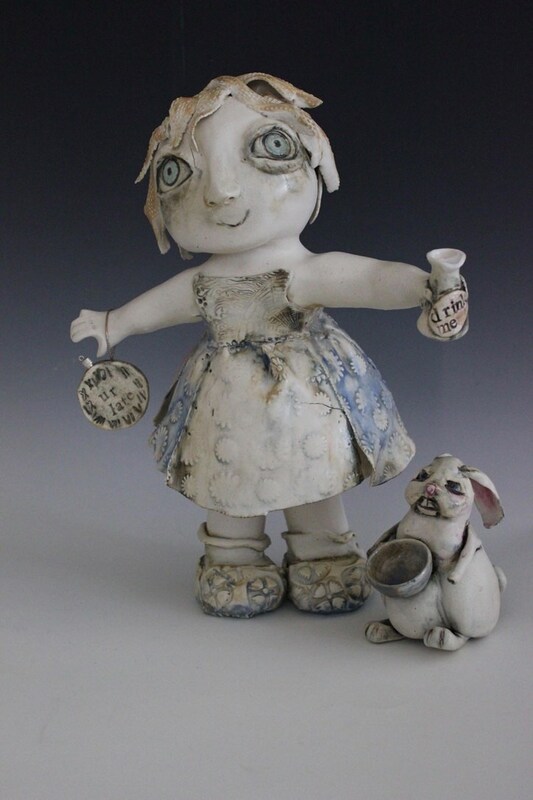 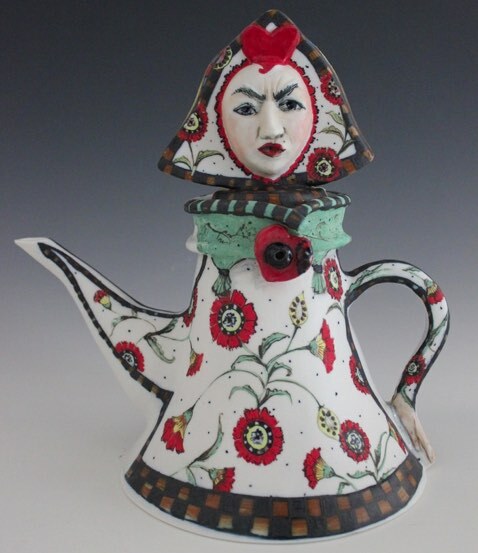 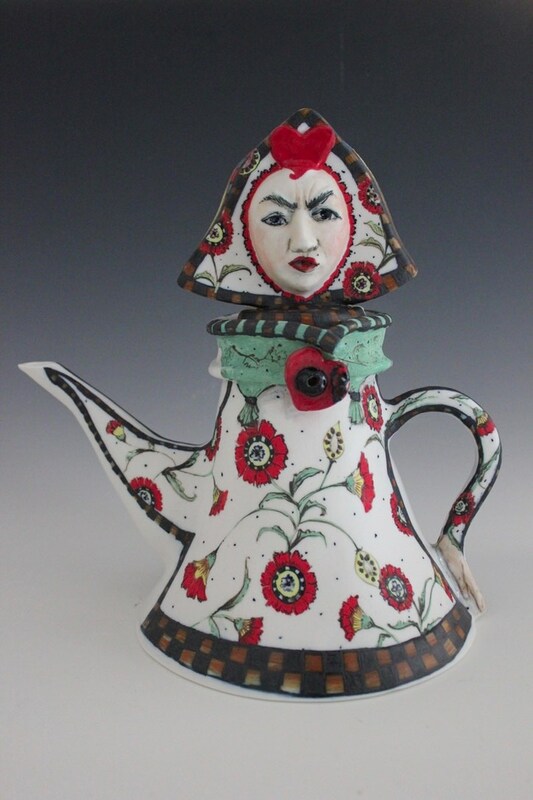 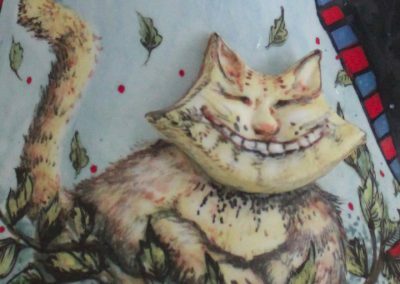 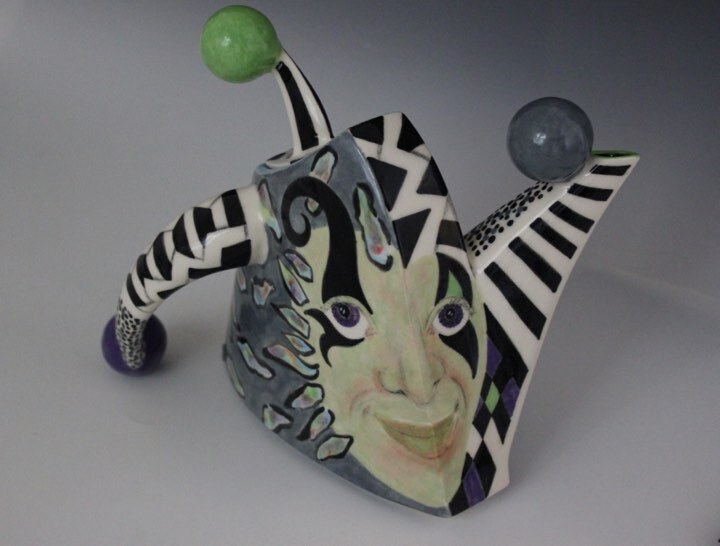 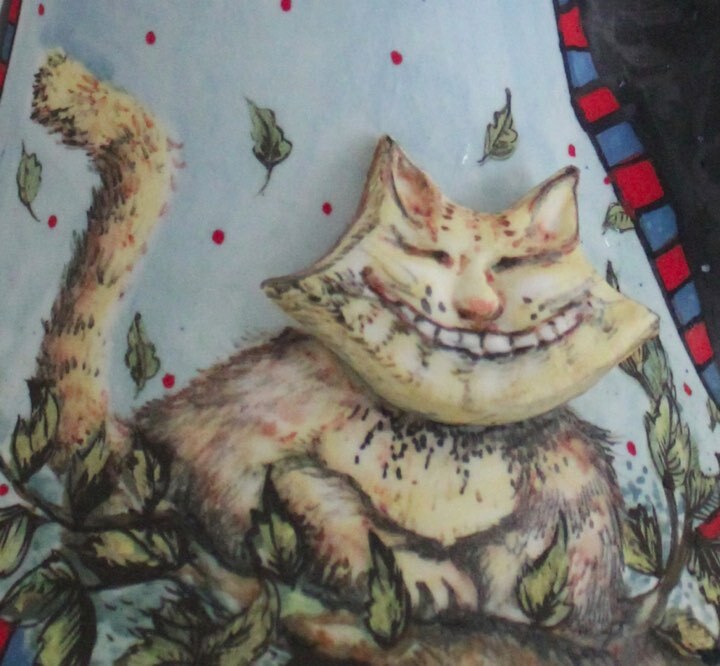 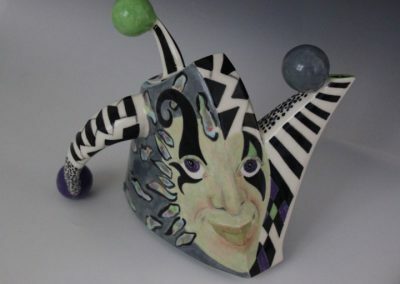 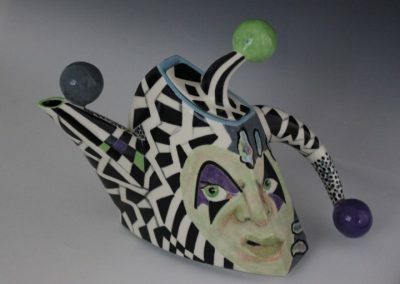 The People’s Choice award sponsored by Planet Organic Tea Company was won by the Alice / Red Queen double sided teapot by Marina Pribaz. 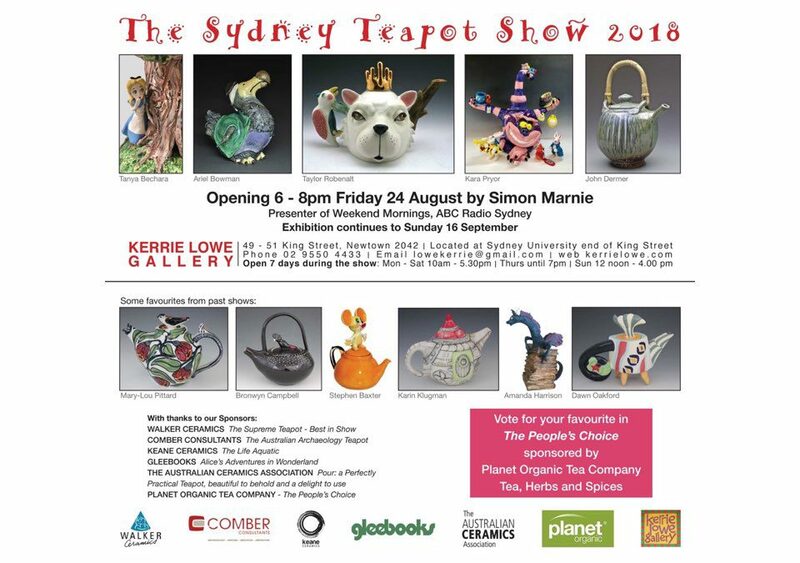 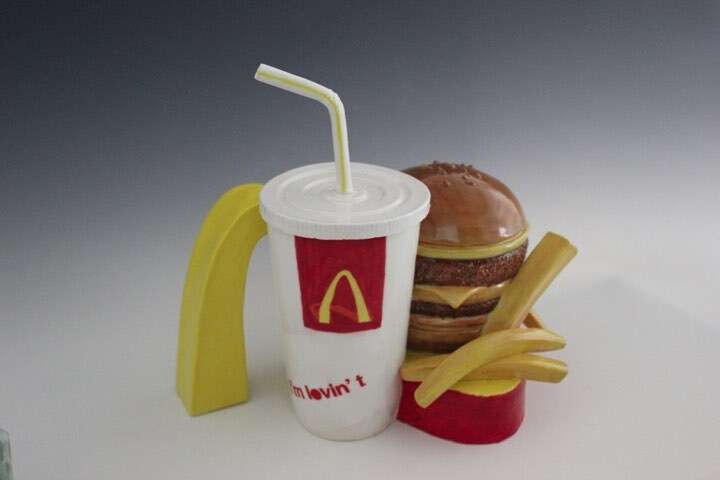 Winner of The People’s Choice sponsored by Planet Organic Tea Company will be announced on conclusion of the exhibition on Sunday 16 September.